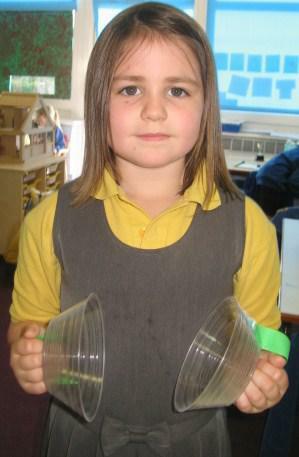 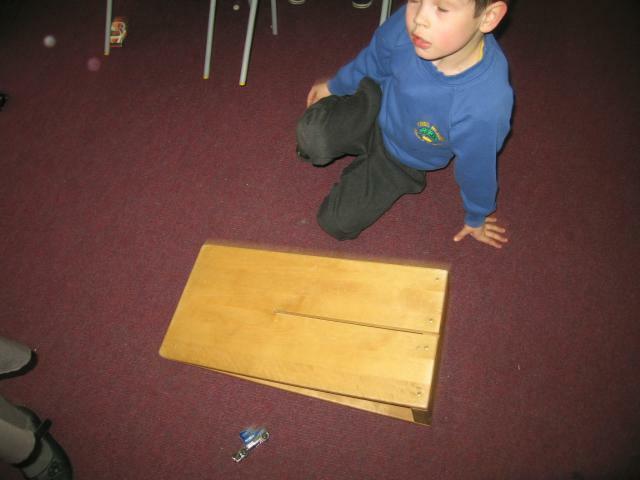 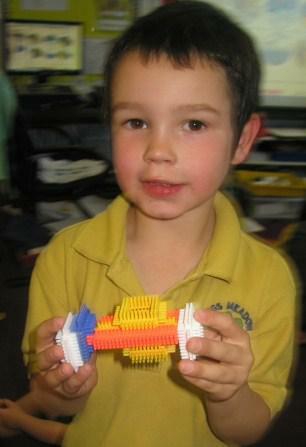 We have just finished an exciting week in science with the theme of SPEED. 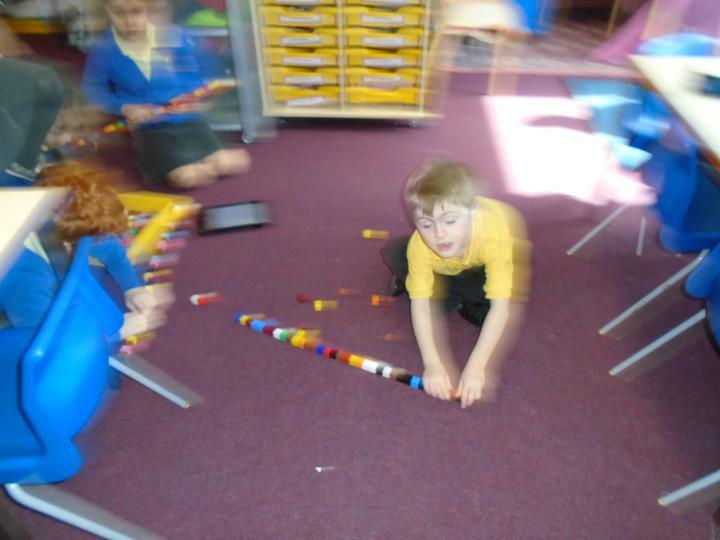 Each class worked through different scientific challenges and also worked creatively to produce interesting art work showing Speed. 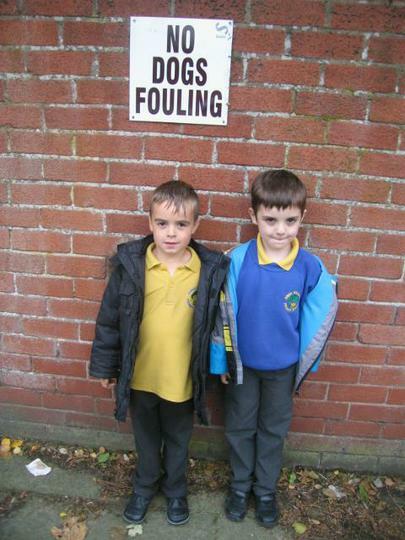 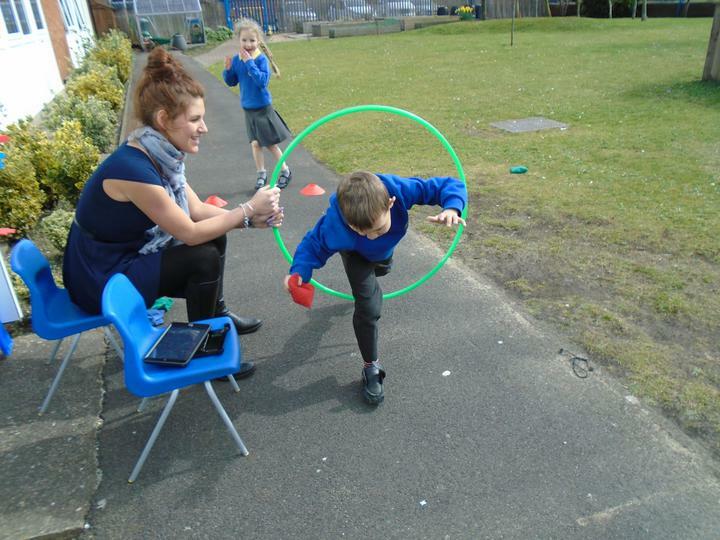 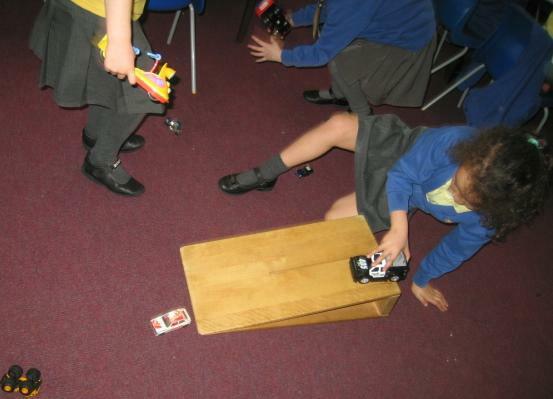 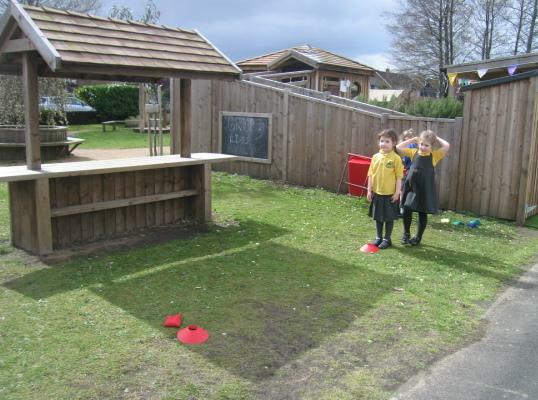 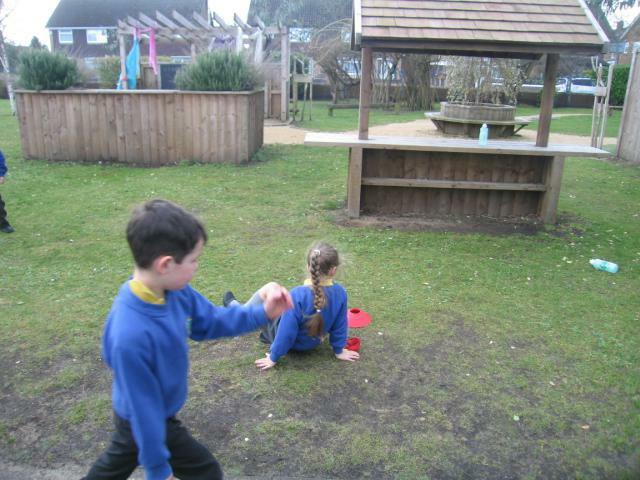 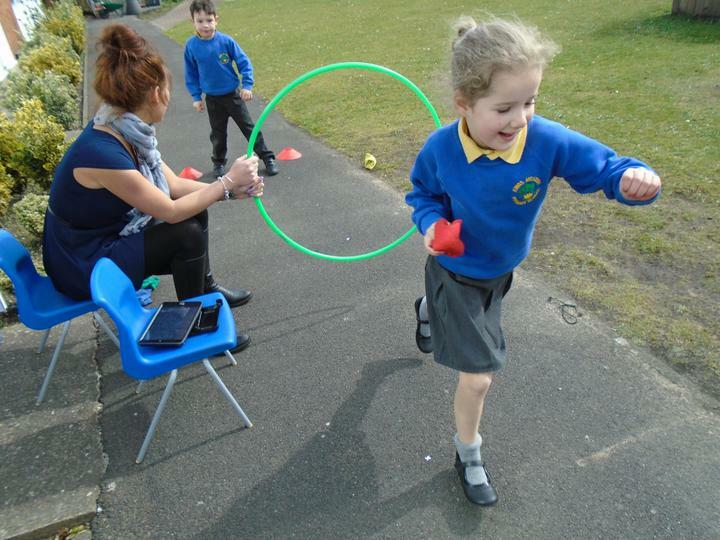 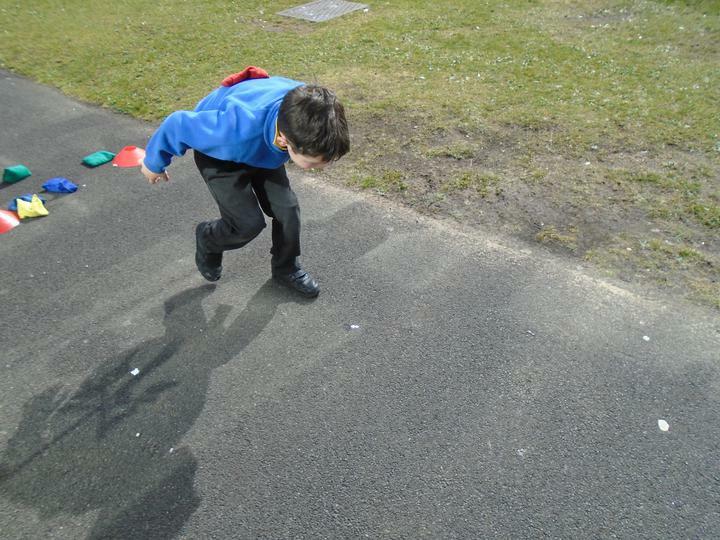 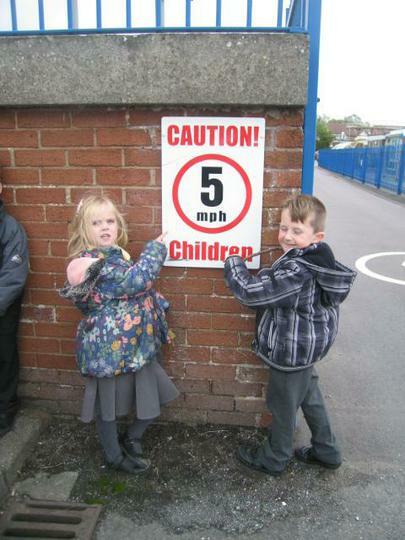 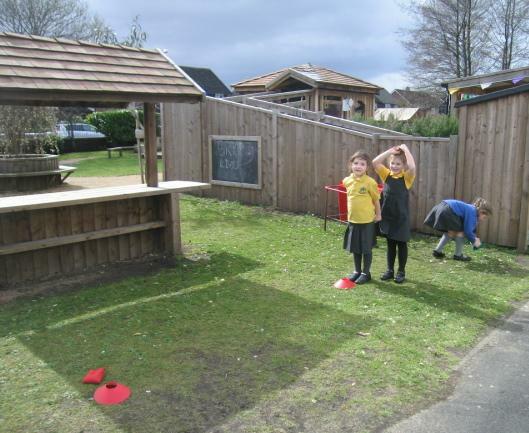 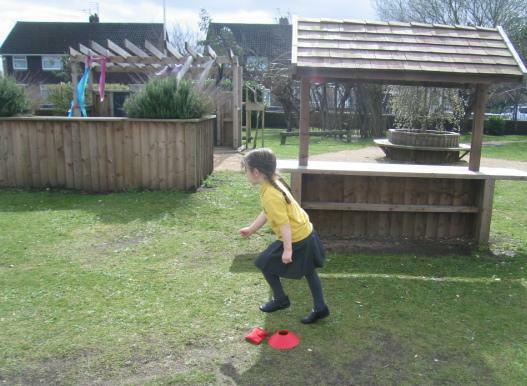 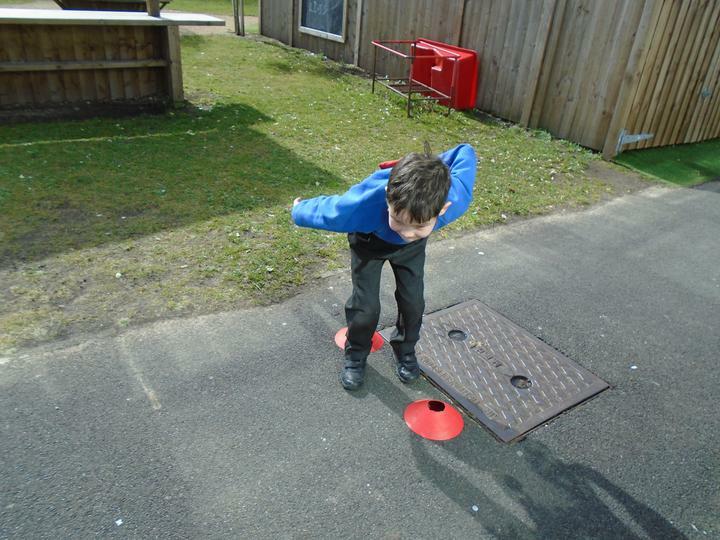 Speed activities and investigations inside and outside the classroom. 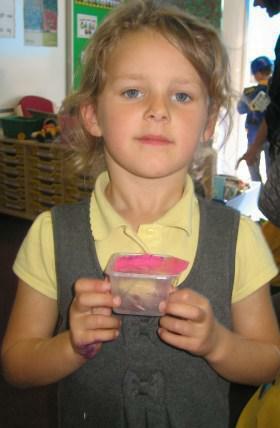 In Art we have been using powder paints to mix all the different shades and tones of the Colour Wheel. 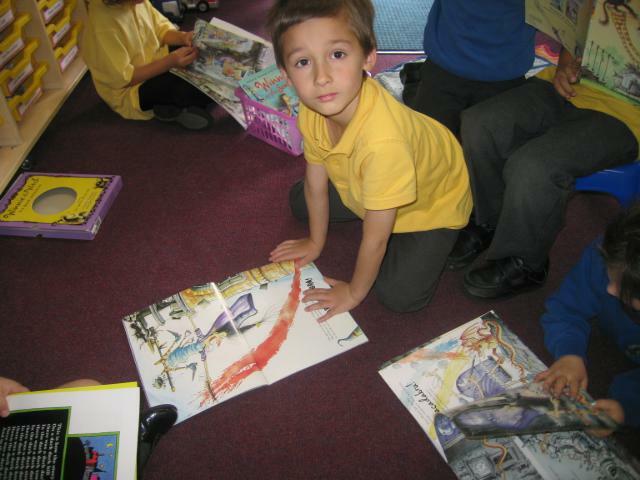 Then we applied this knowledge to paint Elmer the patchwork elephant from the story by David McKee. 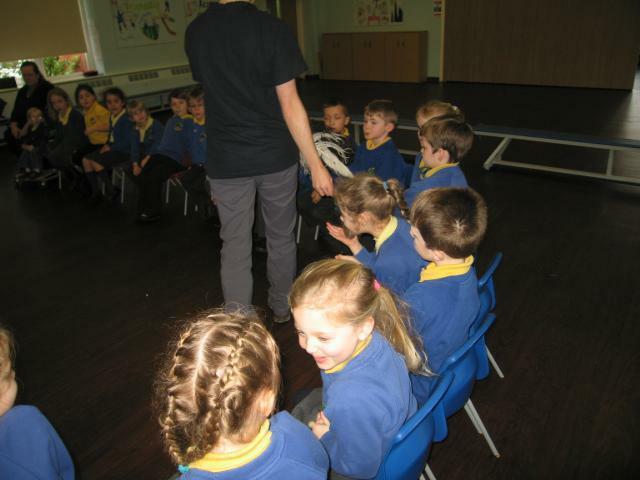 Pie Corbett style of telling Fairy Tales using actions. 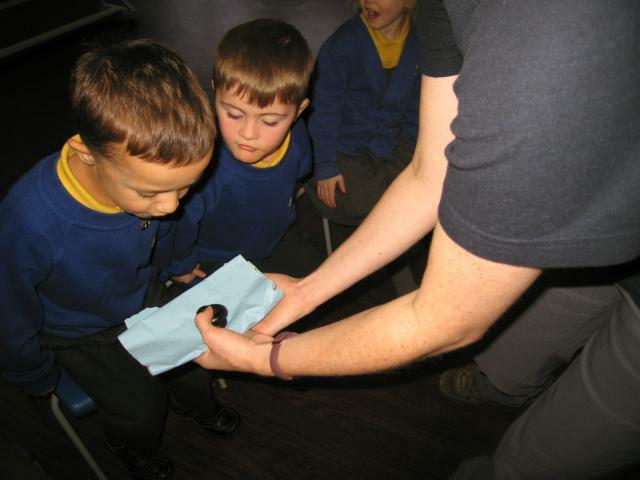 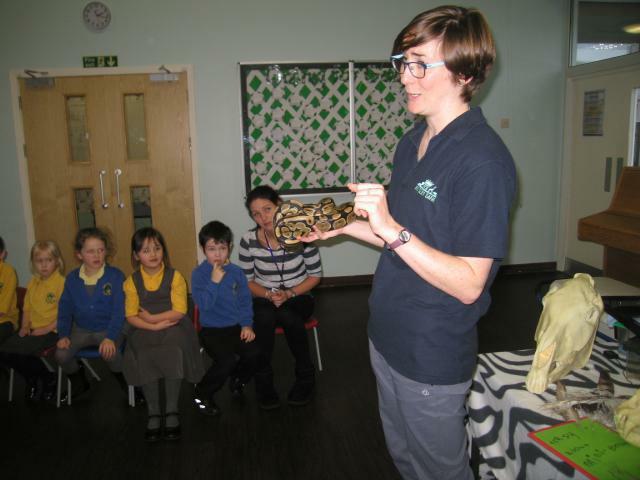 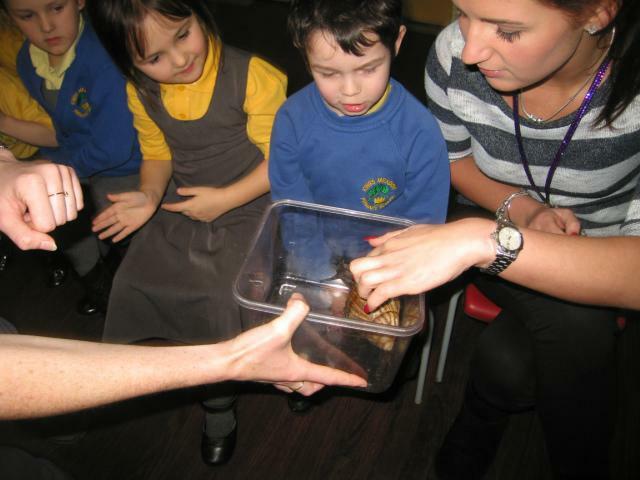 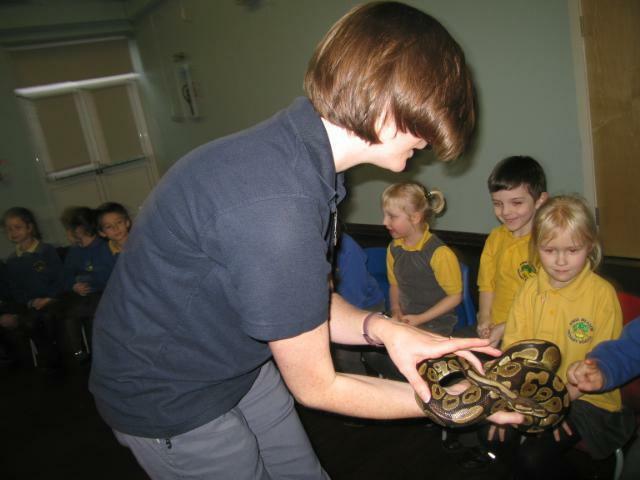 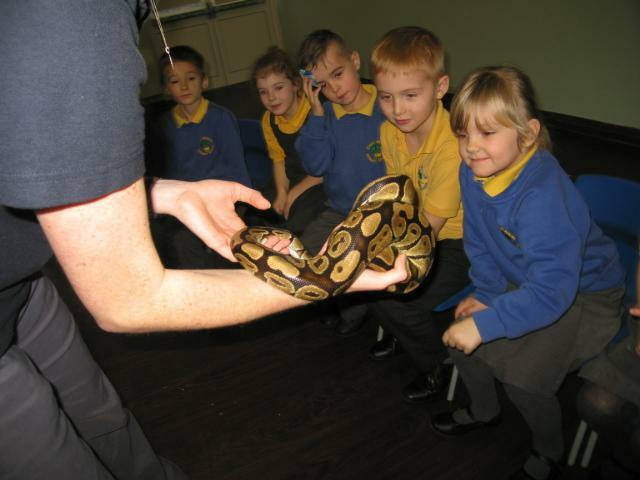 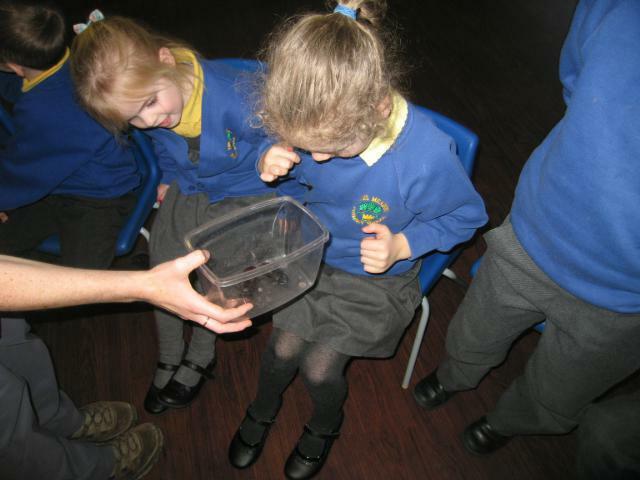 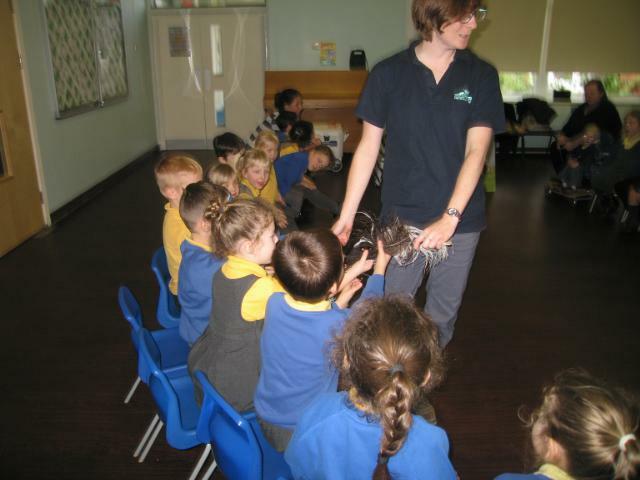 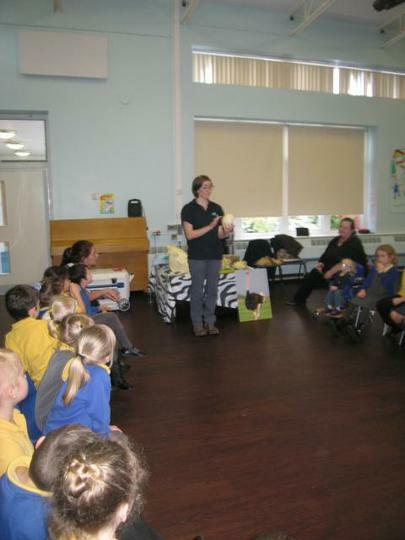 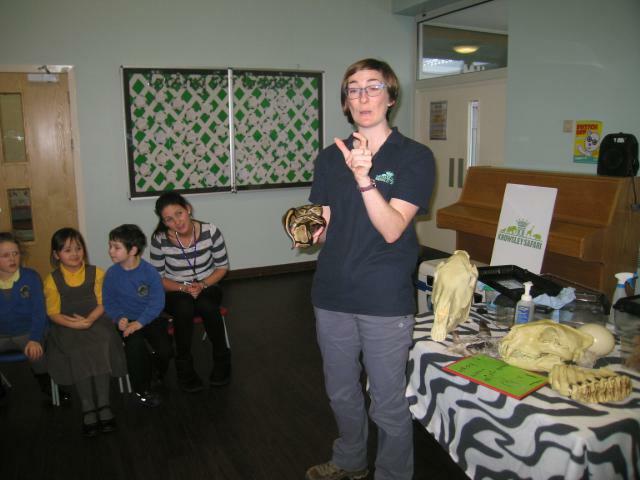 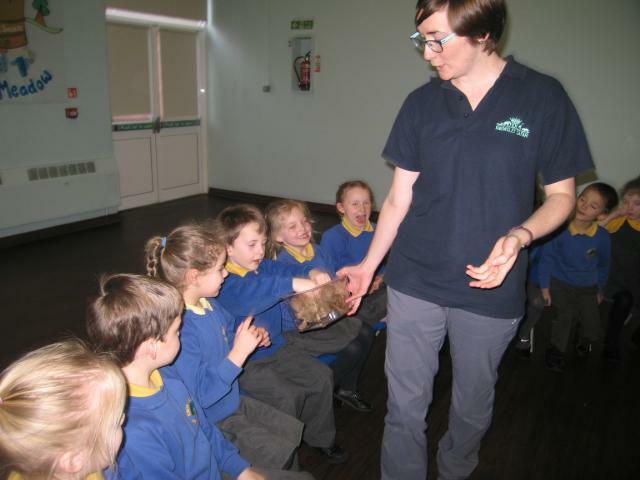 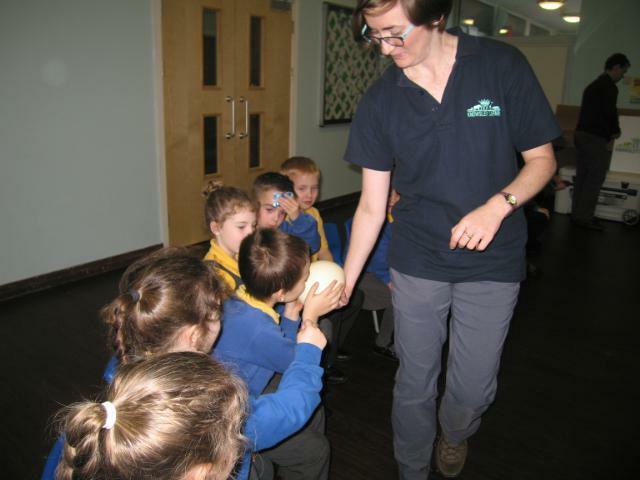 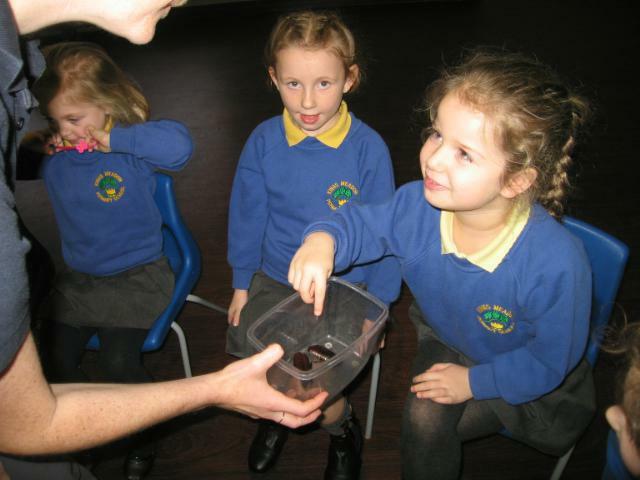 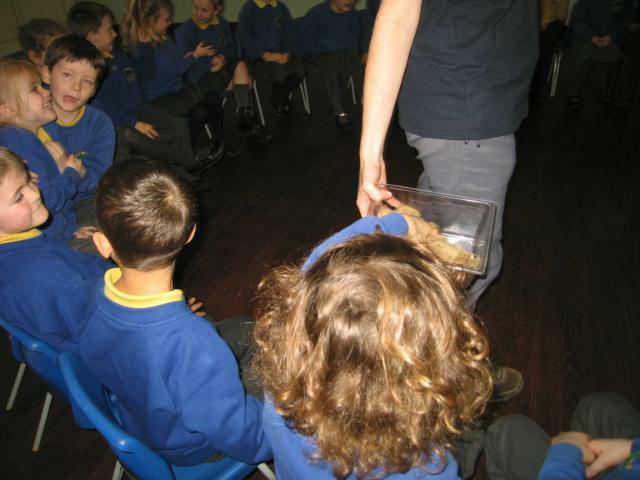 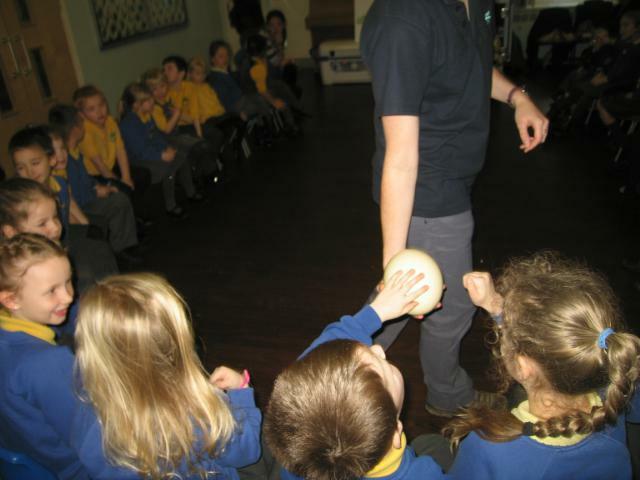 As part of our Jungle topic we were able to enjoy a visit from the Knowsley Safari Park Keepers. 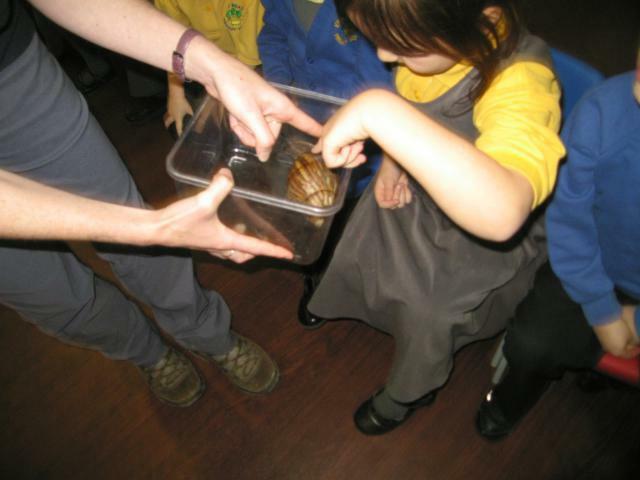 They brought a selection of creatures for us to look at and in some cases hold. 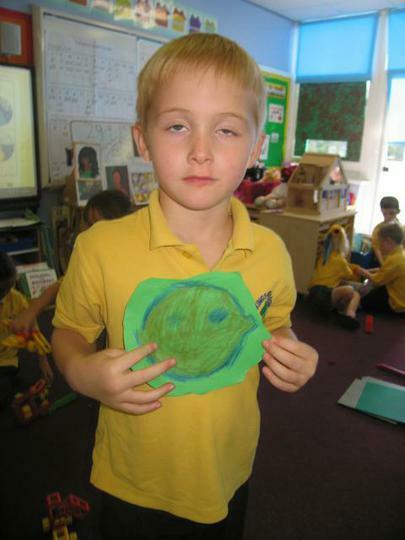 Weird and Wonderful animals of the world. 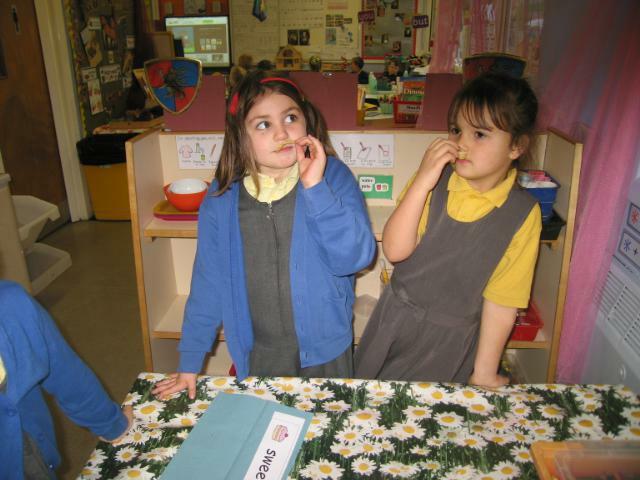 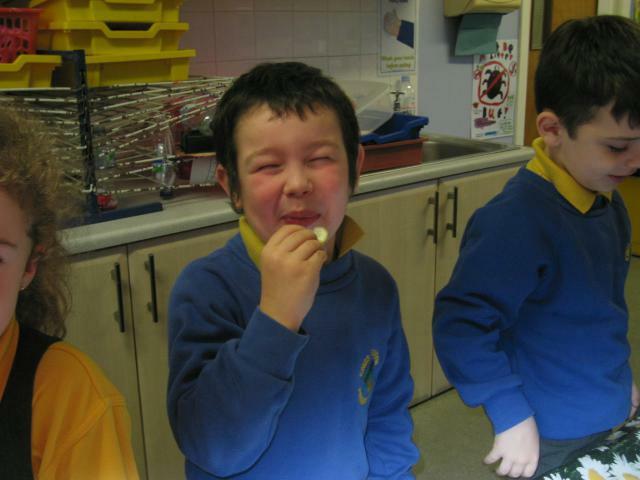 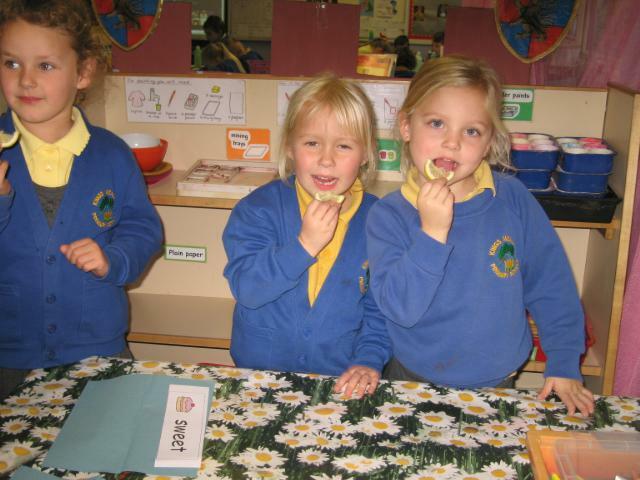 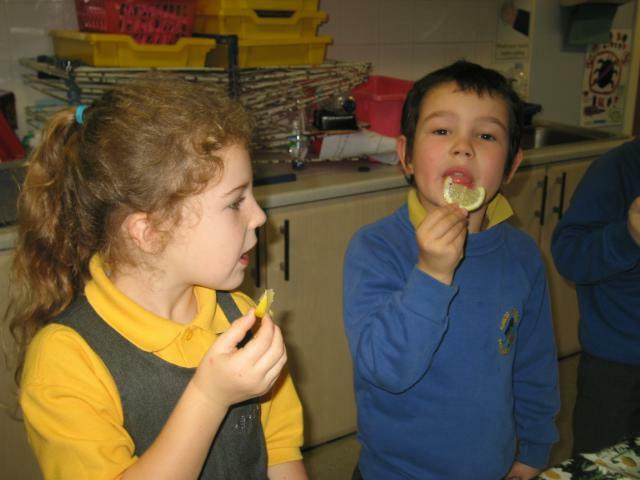 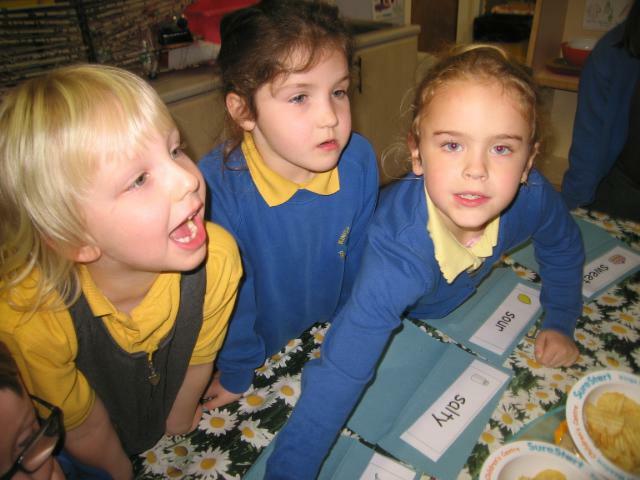 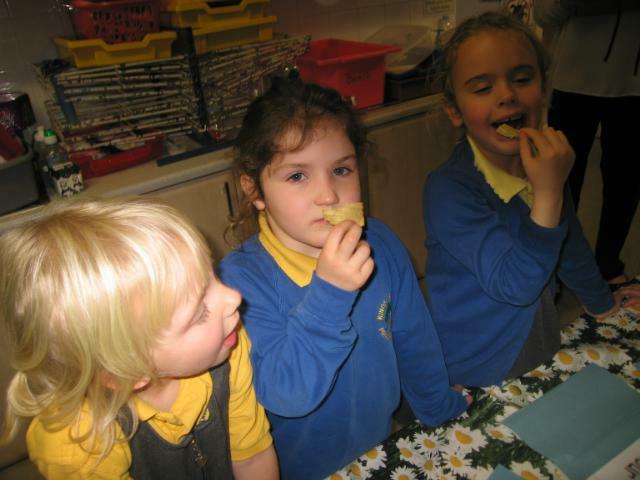 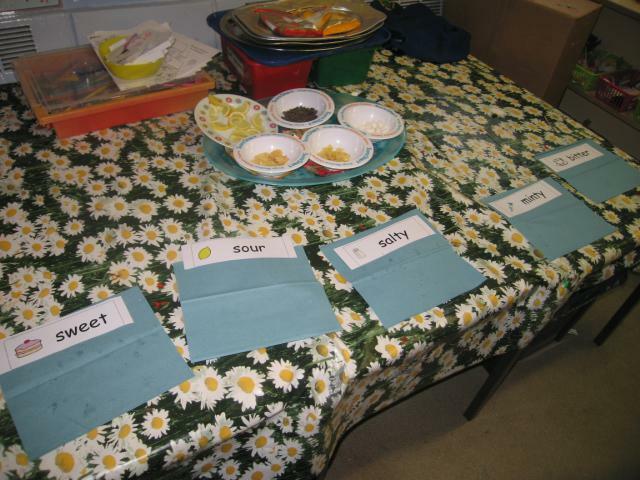 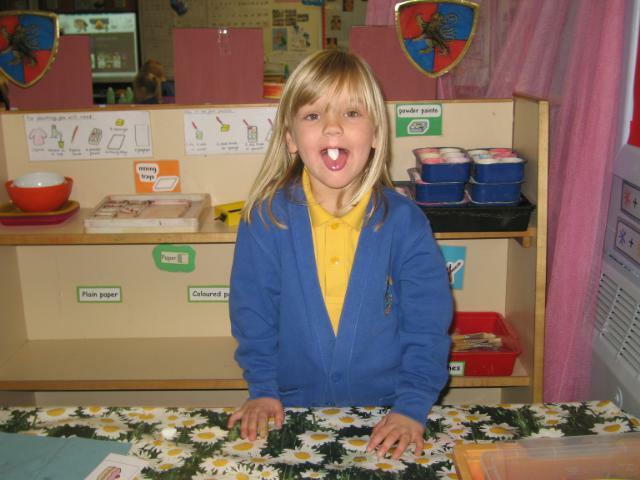 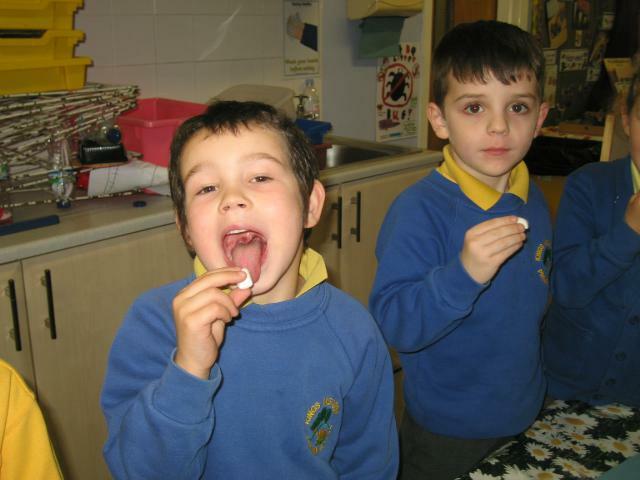 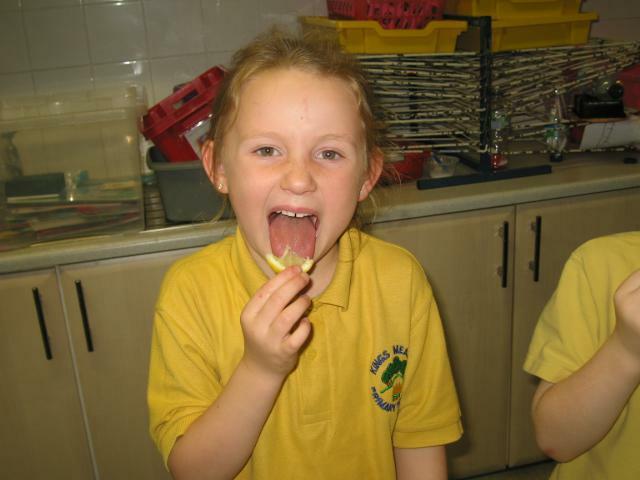 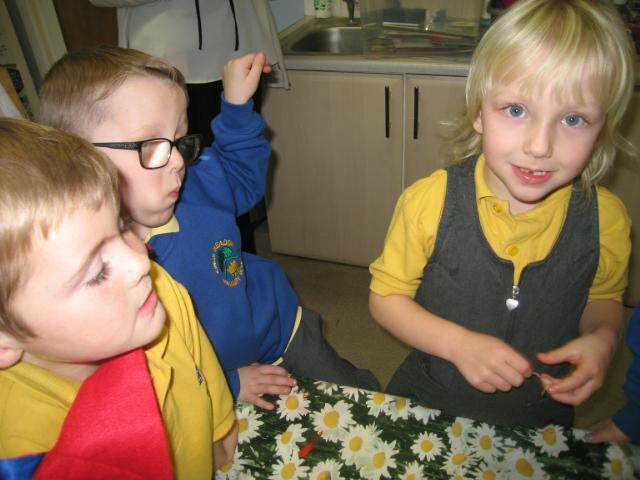 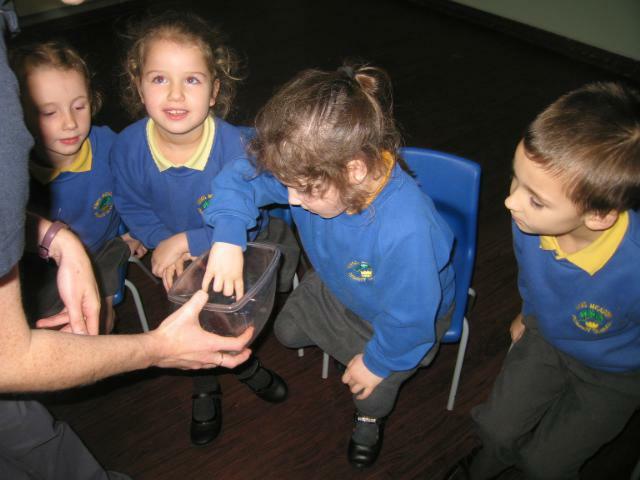 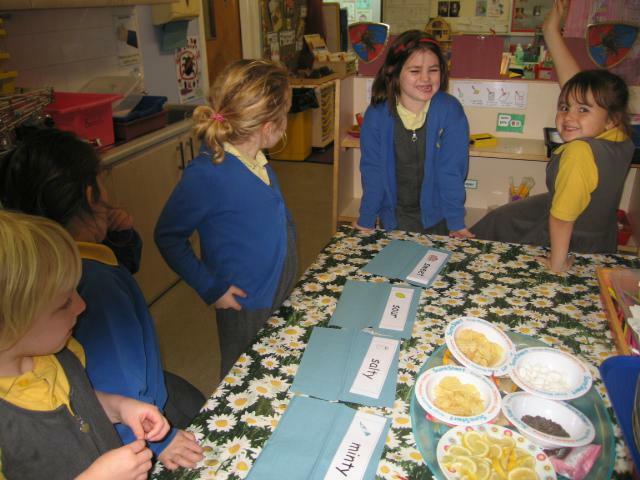 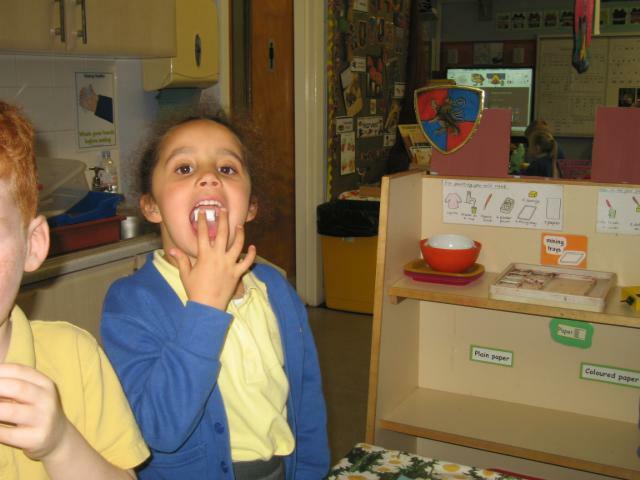 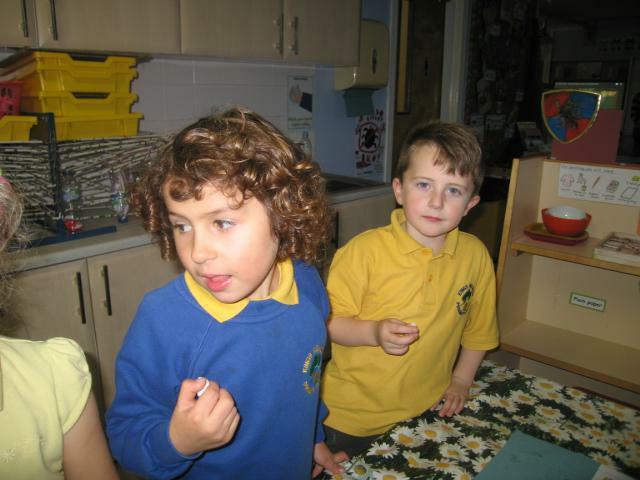 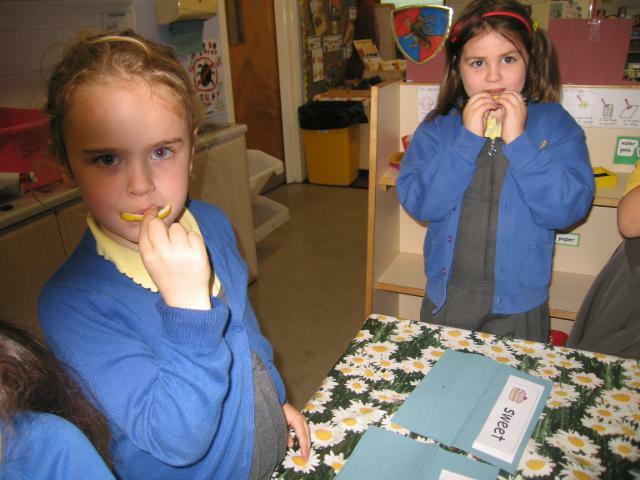 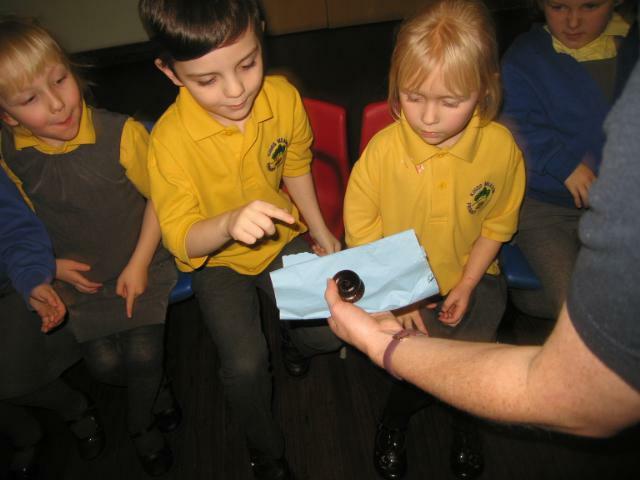 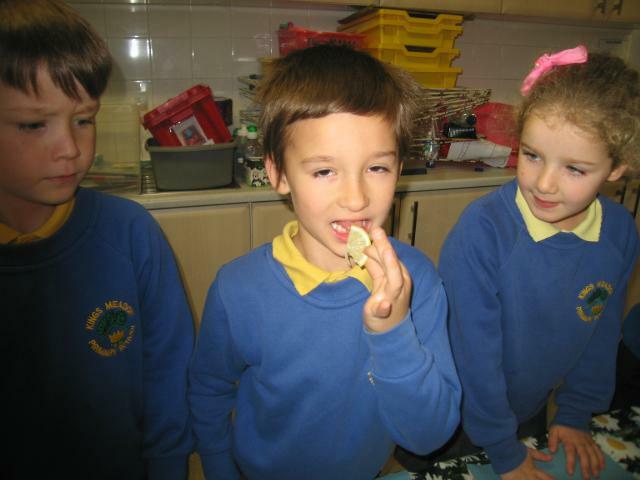 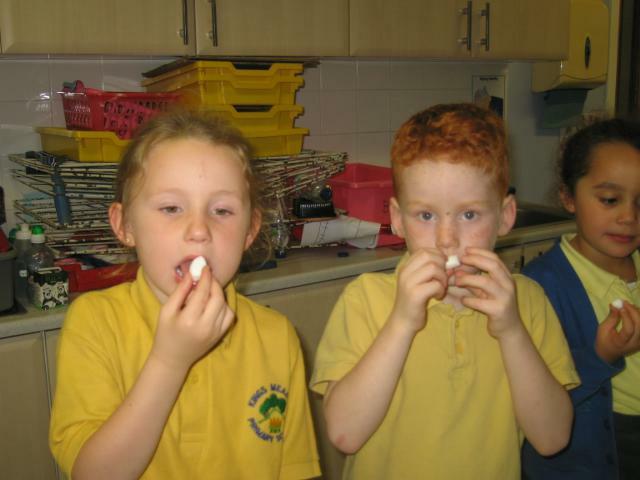 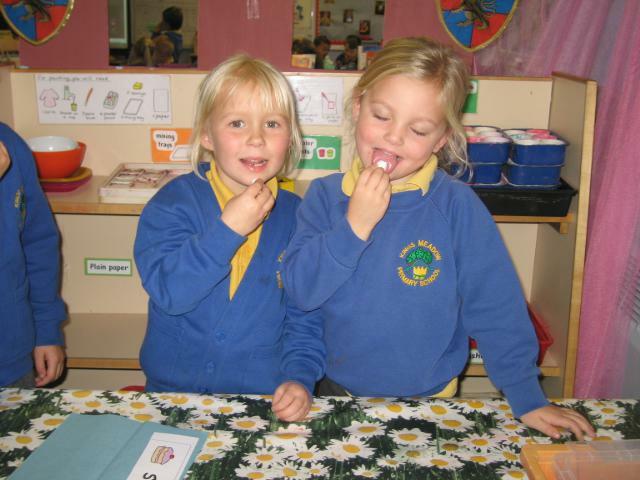 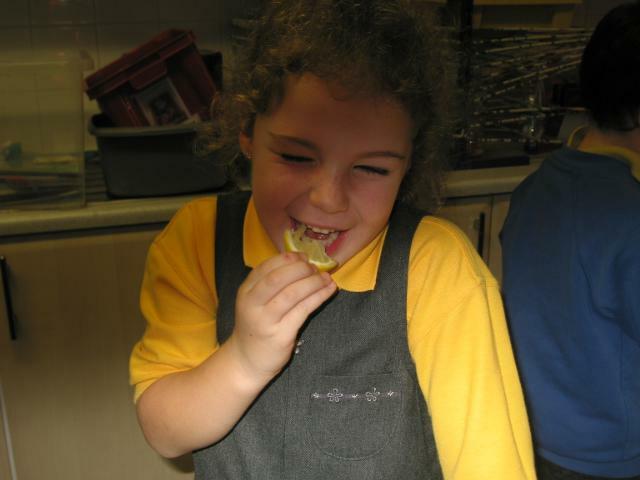 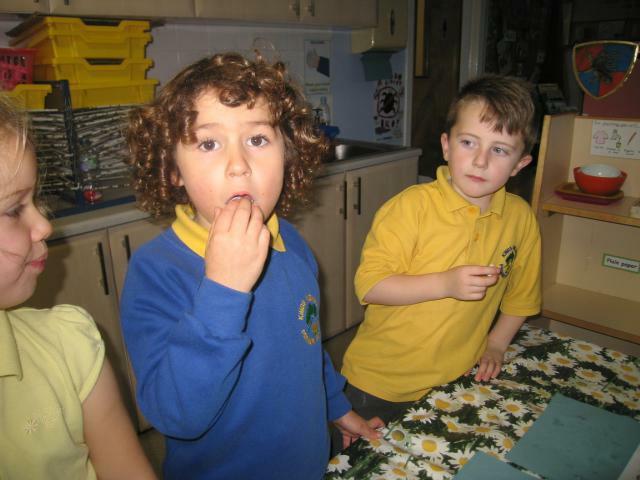 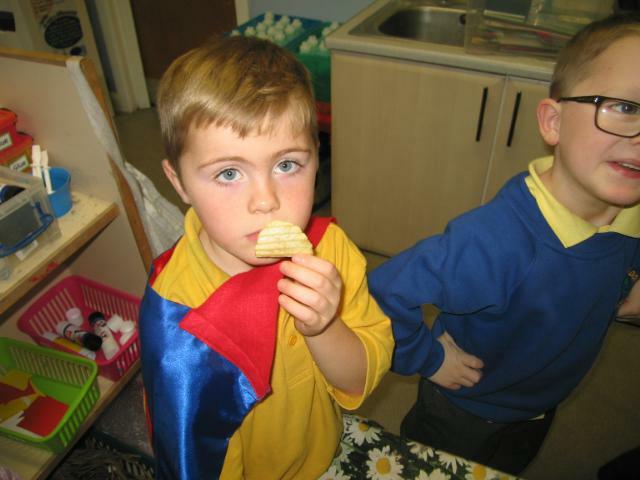 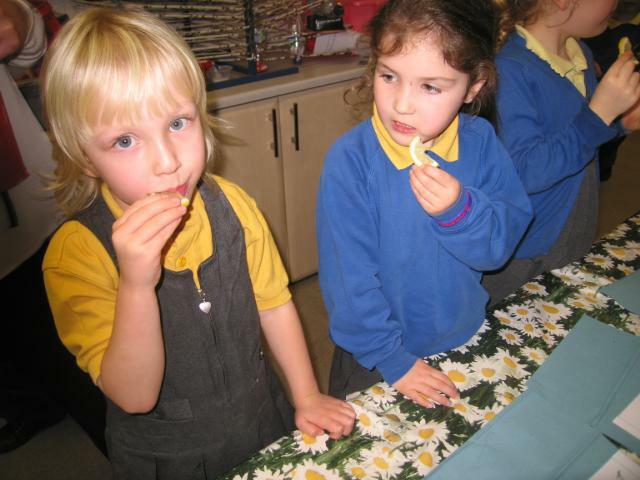 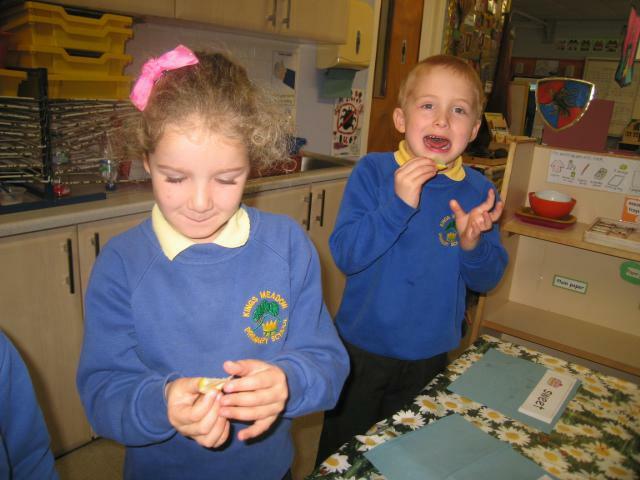 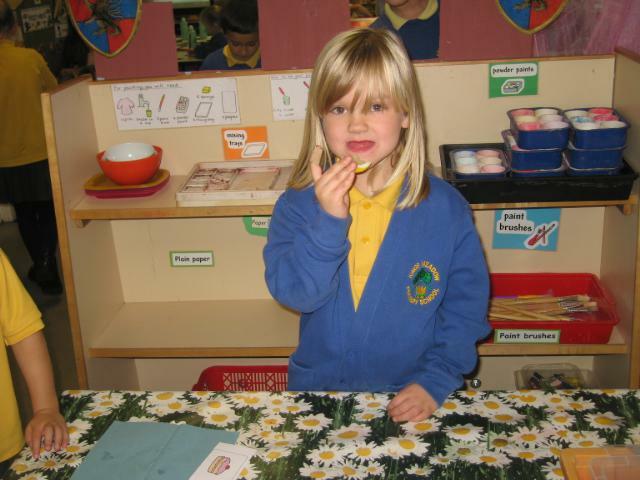 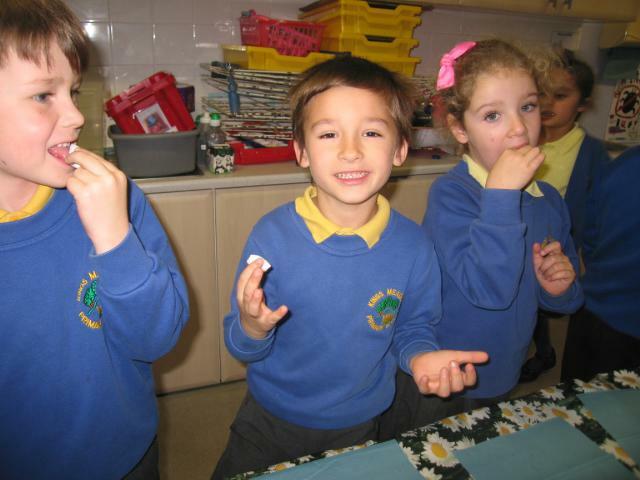 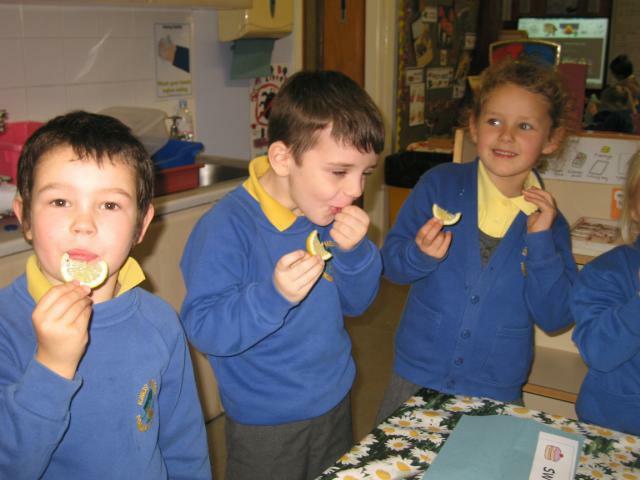 In science we have been learning about our senses and the children particularly enjoyed sampling the different tastes of sweet, sour, bitter and salty. 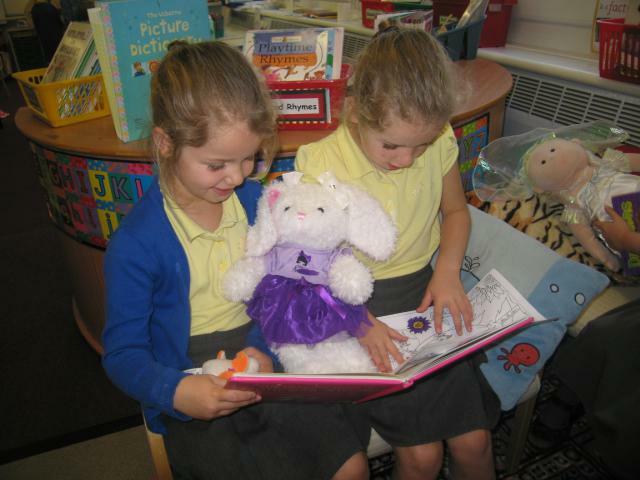 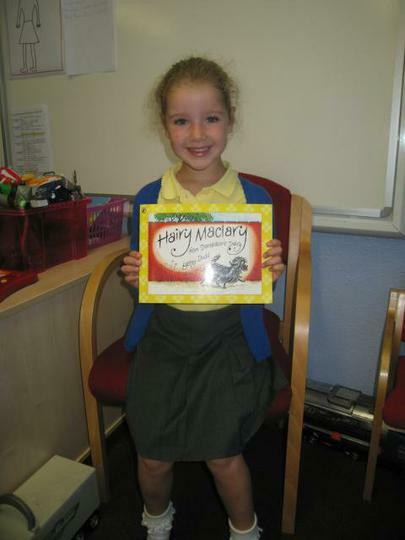 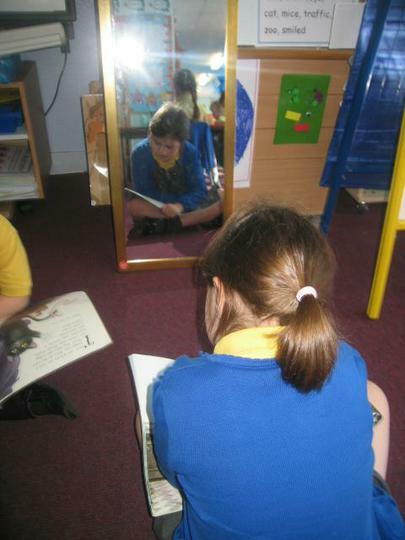 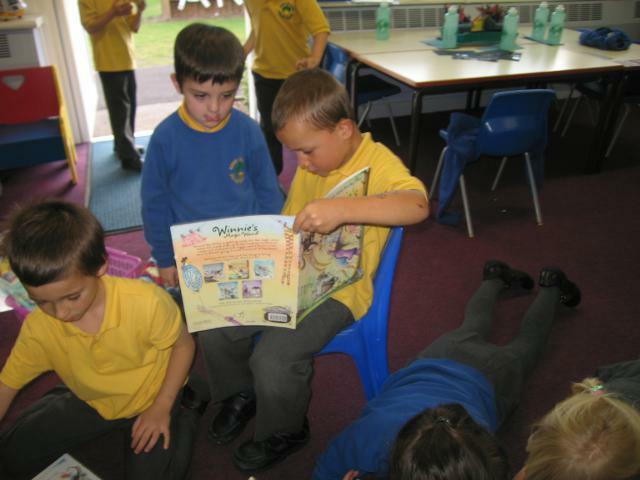 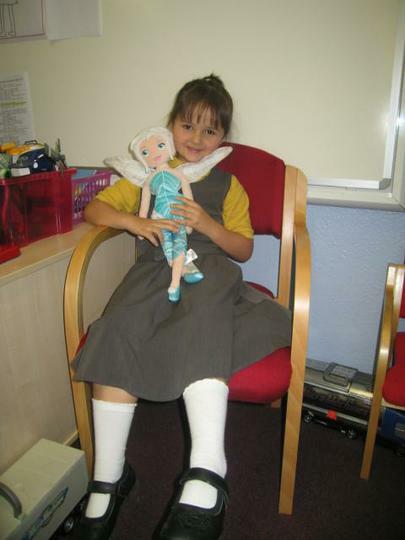 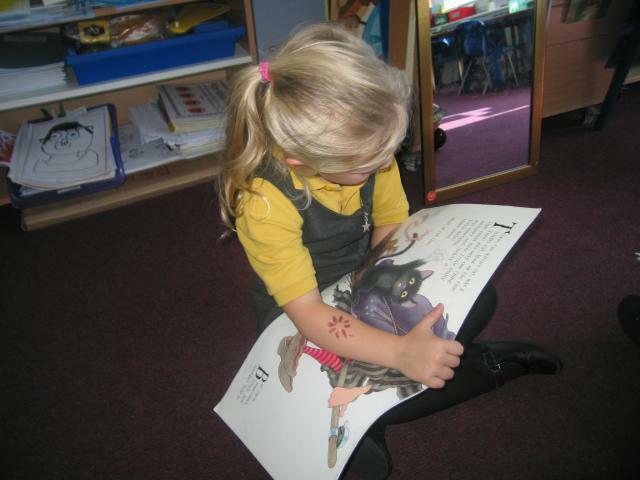 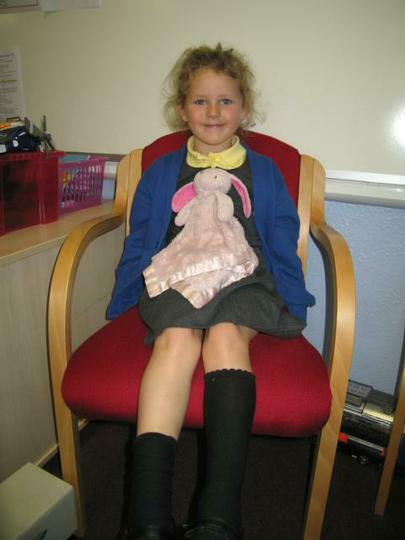 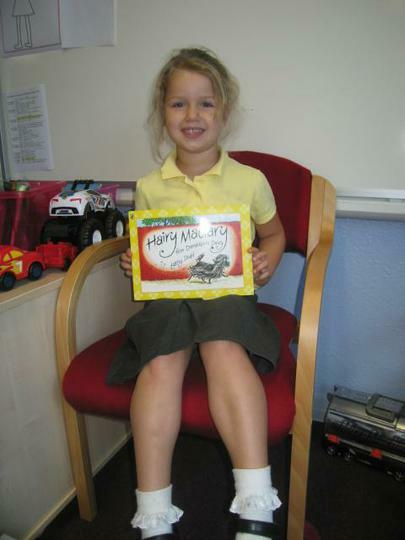 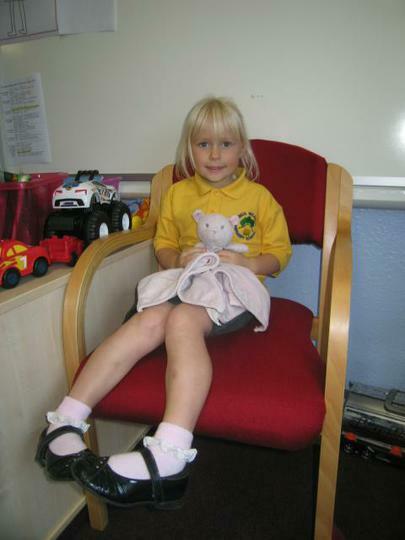 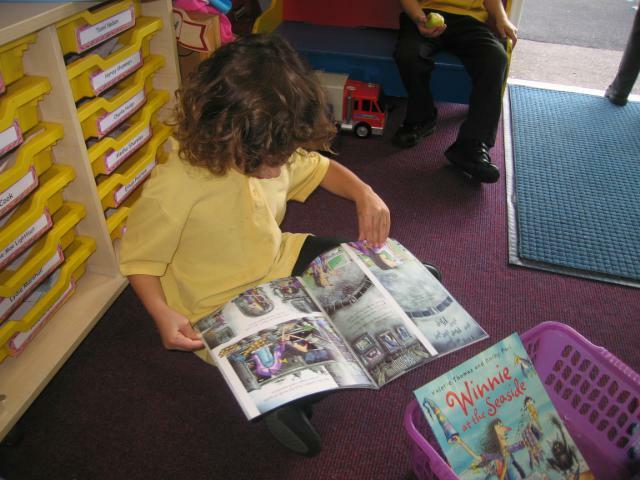 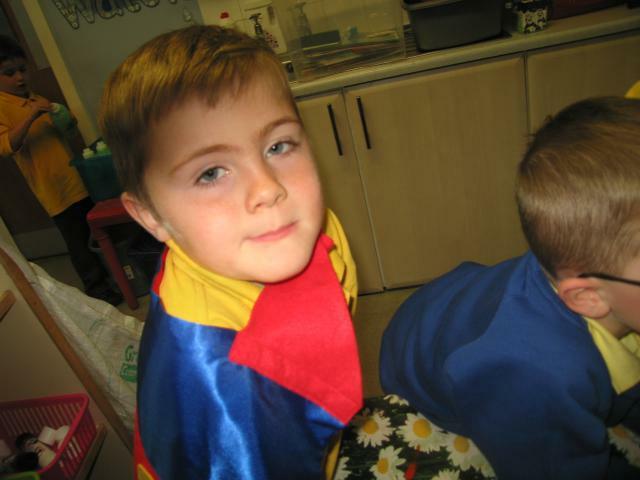 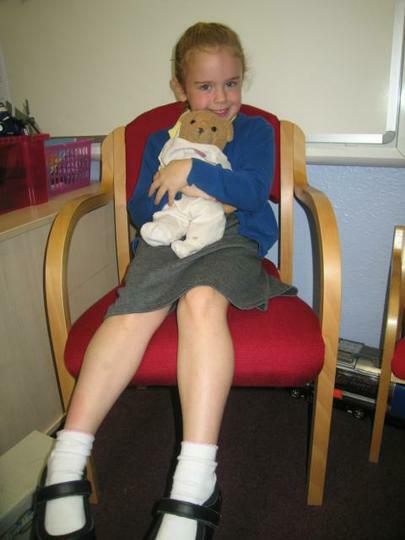 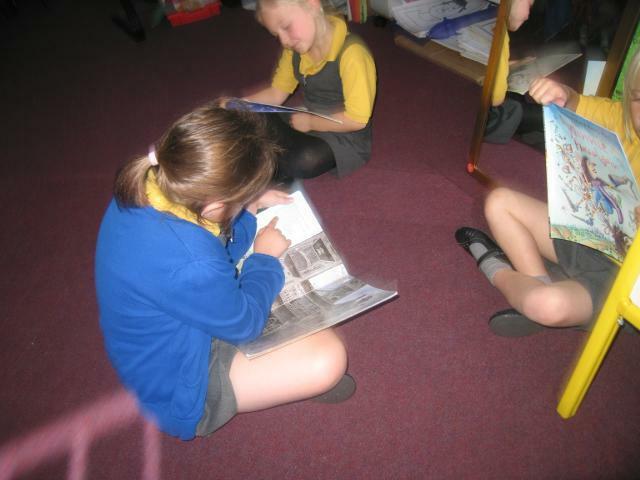 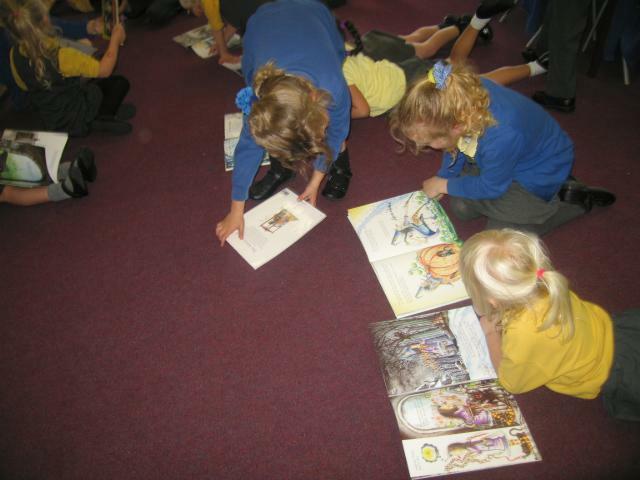 At Key Stage 1 Reading is very important and we encourage children's love of books by providing a welcoming 'Reading Corner' where everyone can relax and enjoy sharing wonderful stories or find out exciting facts from our non-fiction area. 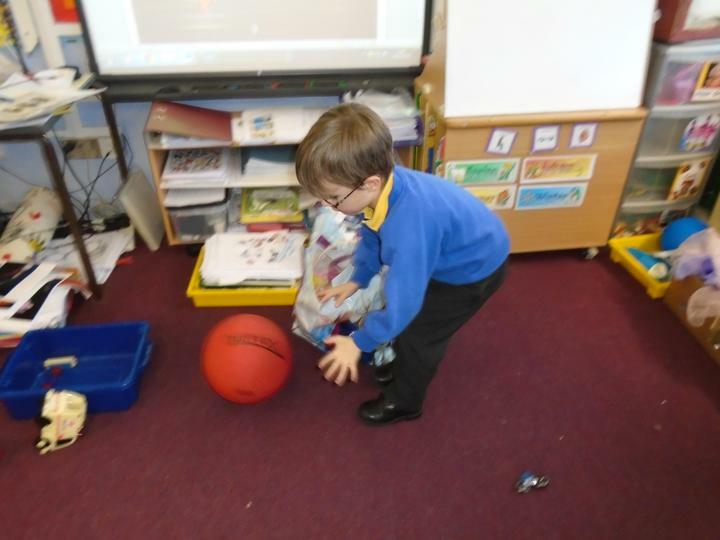 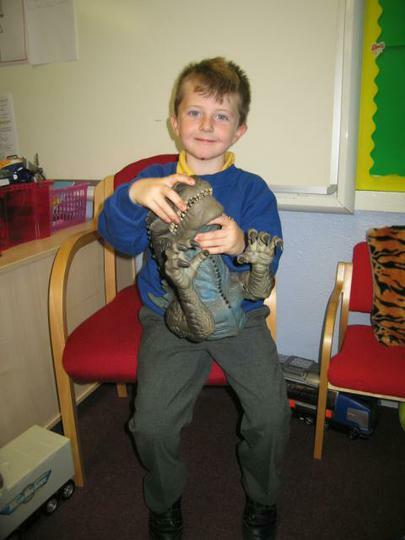 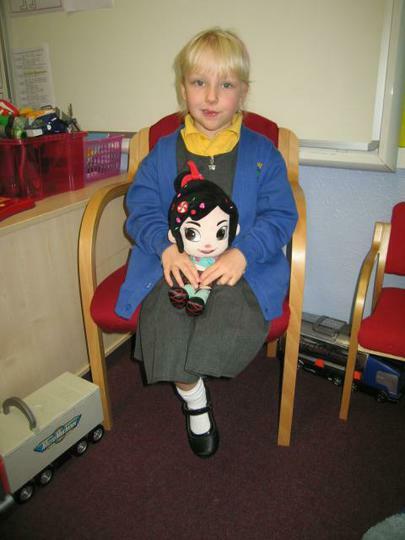 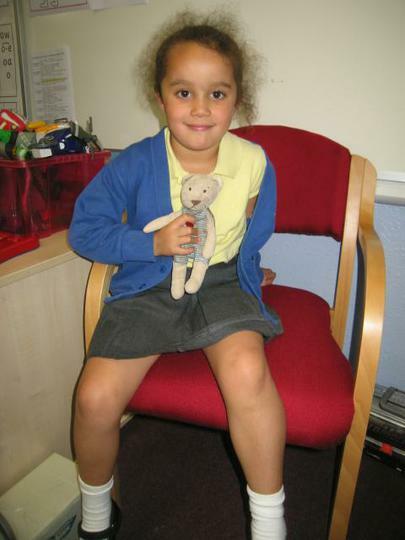 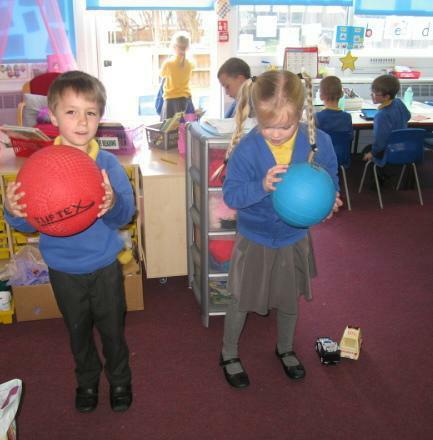 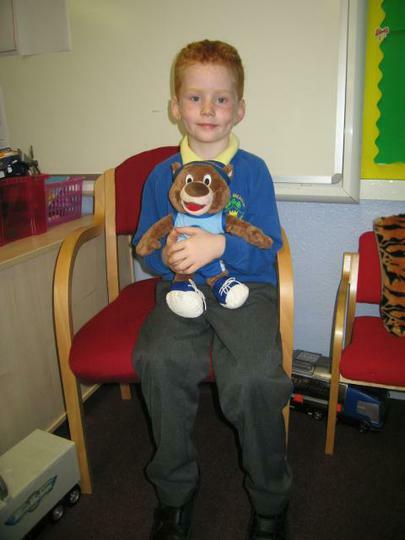 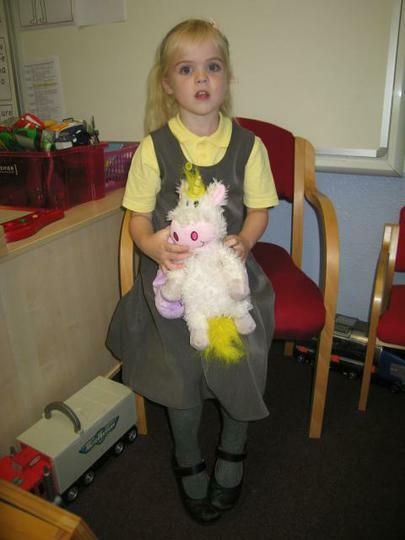 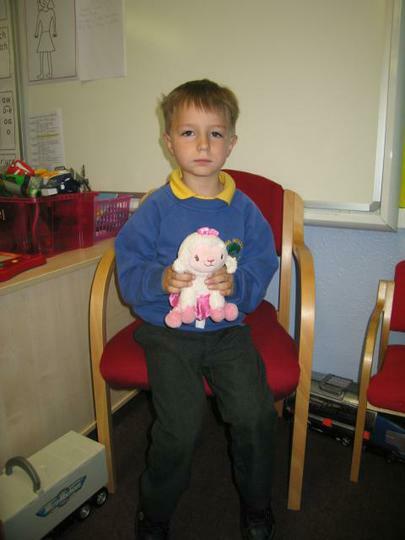 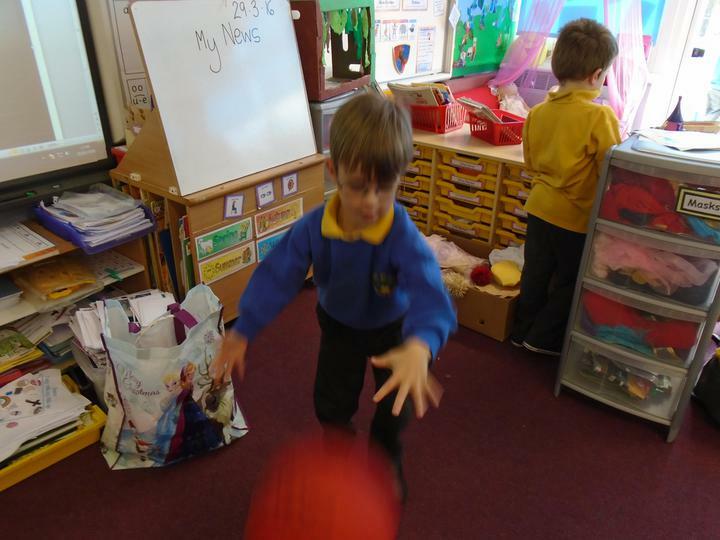 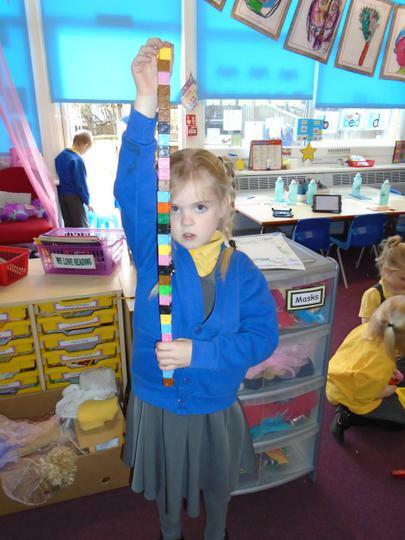 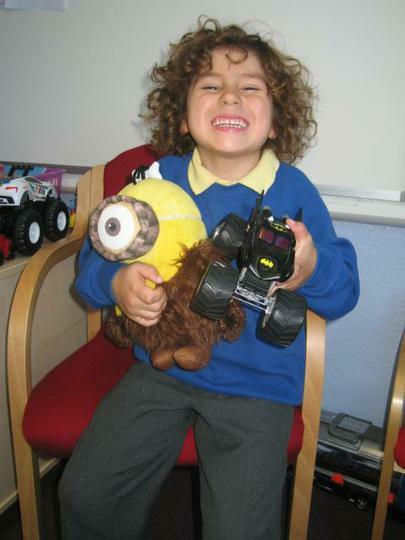 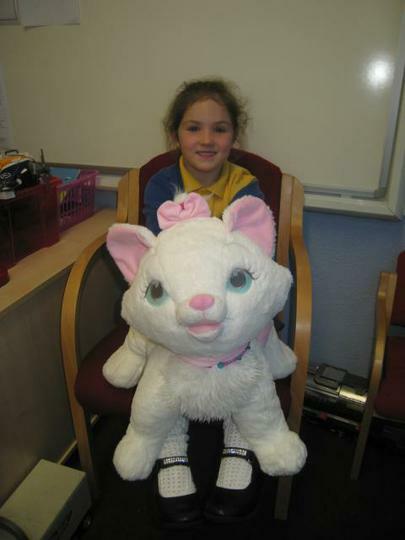 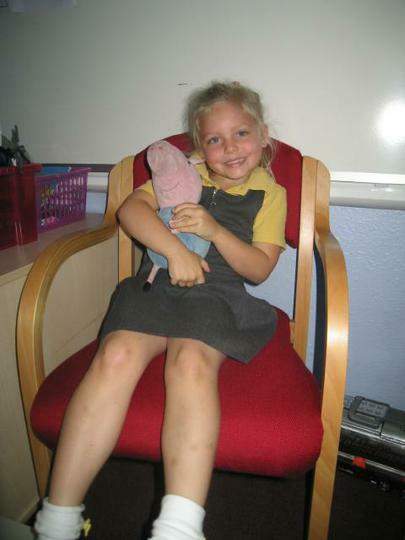 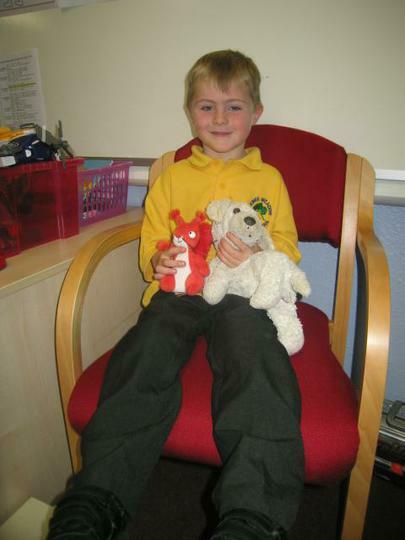 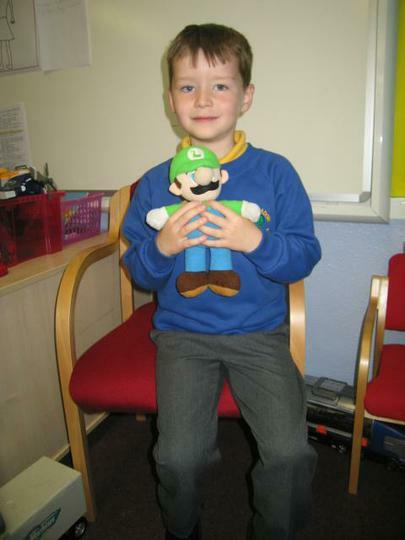 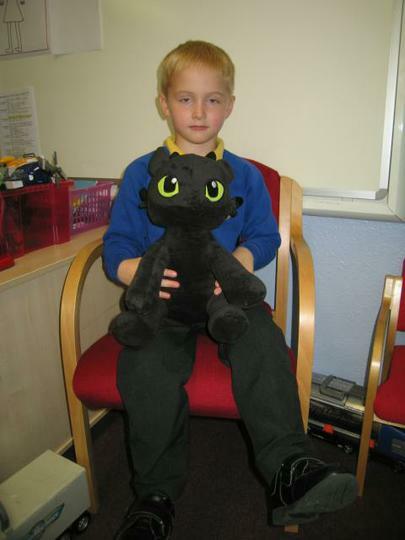 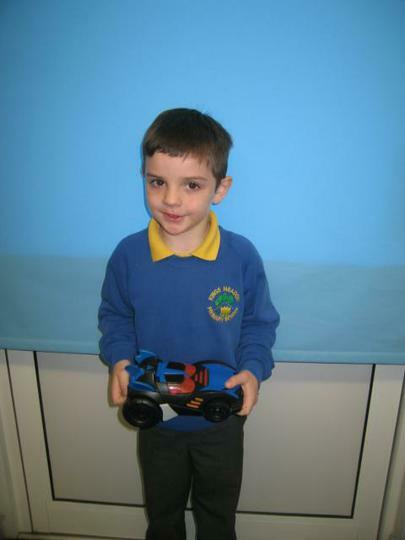 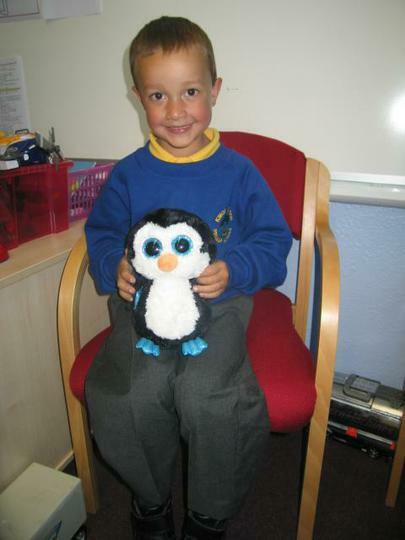 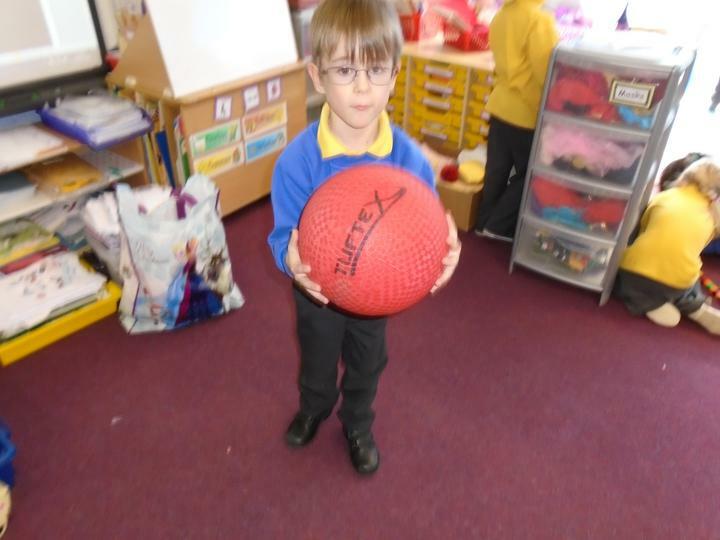 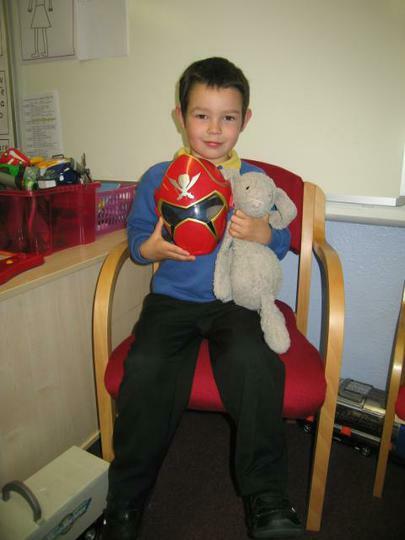 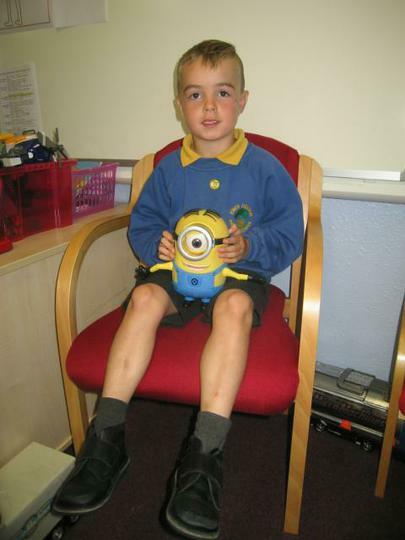 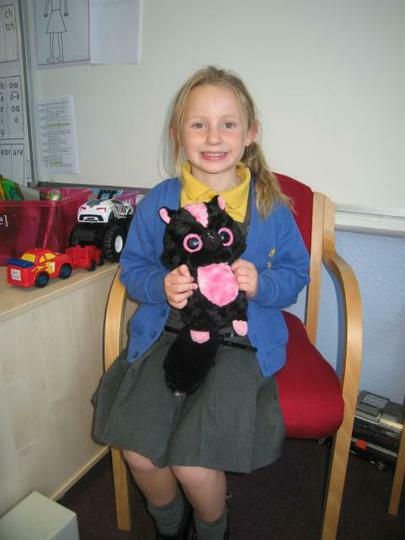 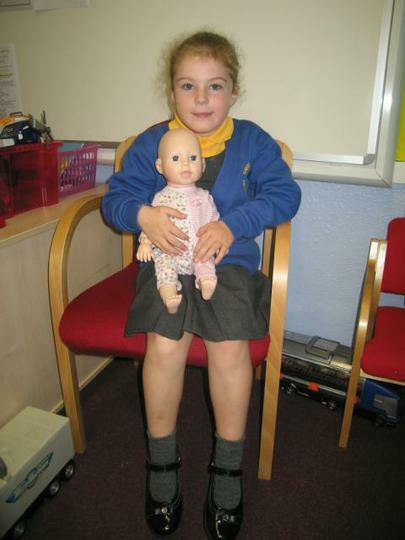 We have been working on our 'Speech and Language' and Year 1 were asked to bring a favourite toy from home to talk about in front of the class. 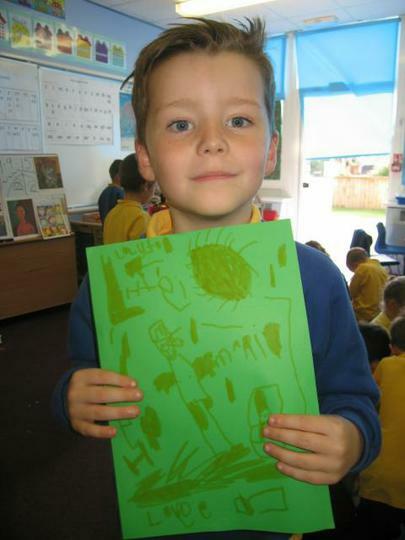 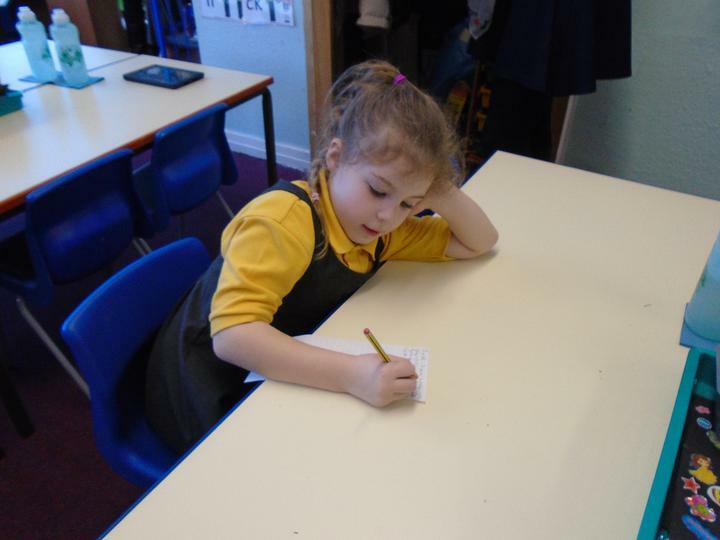 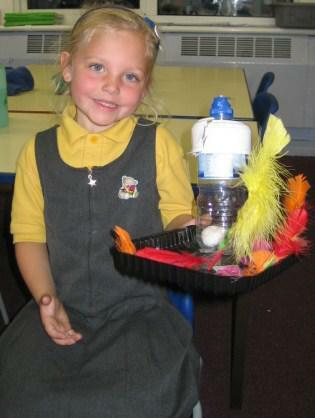 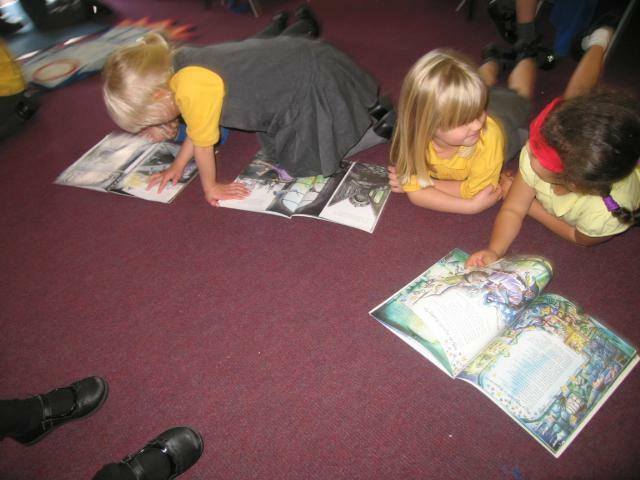 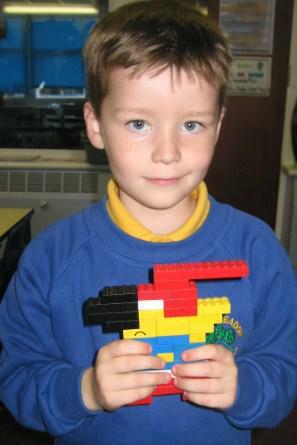 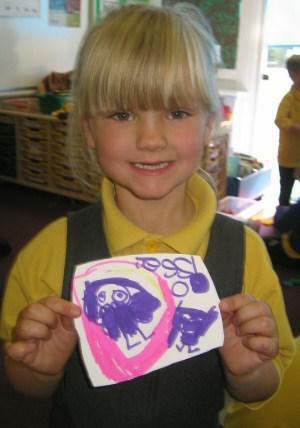 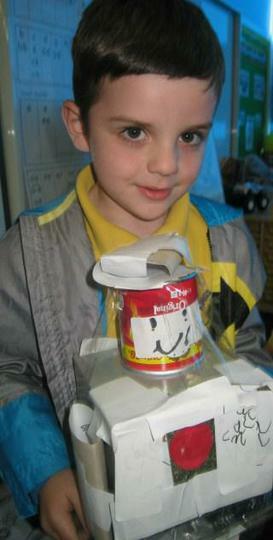 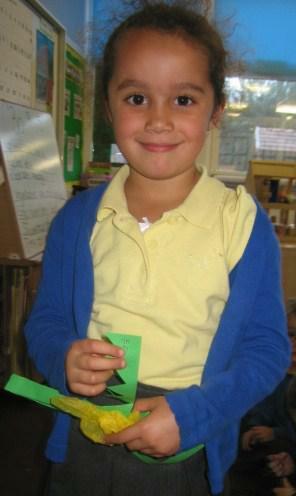 In R.E.Year 1 have learnt about the Bible story of Creation. 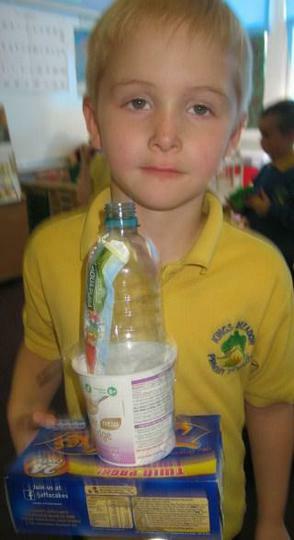 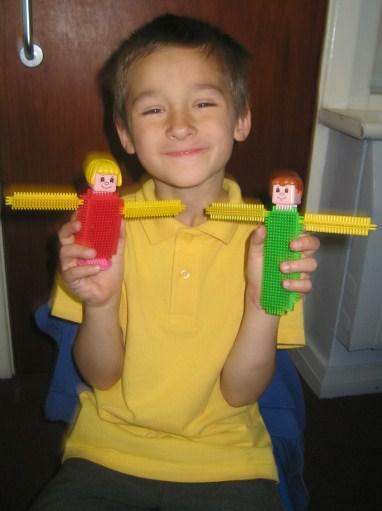 They have also made models of their own creations. 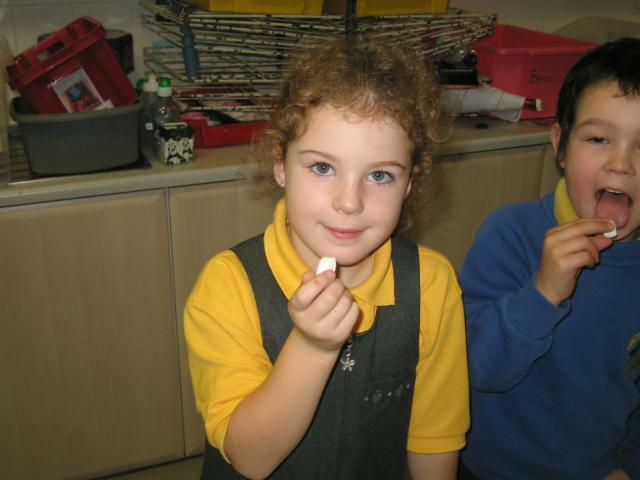 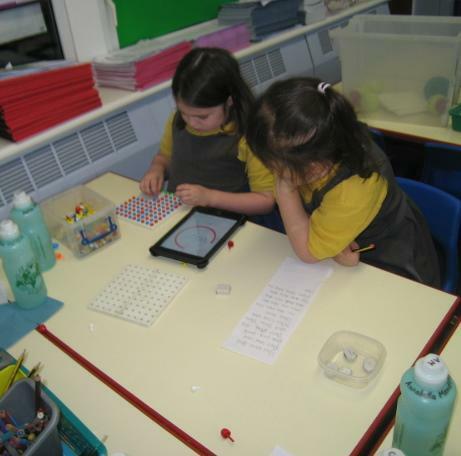 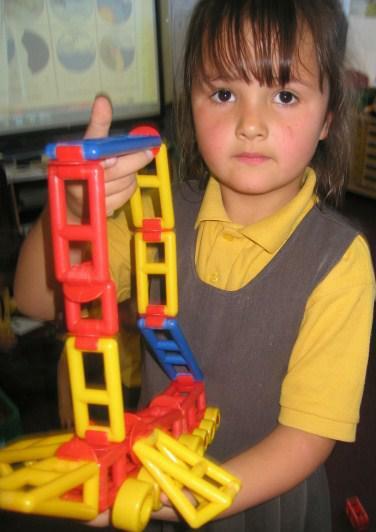 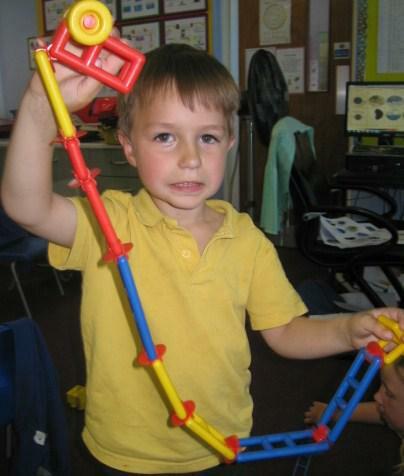 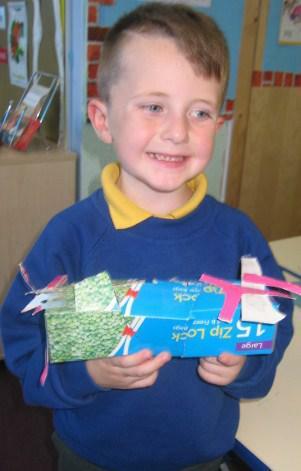 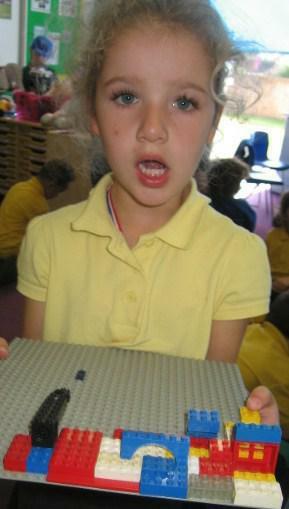 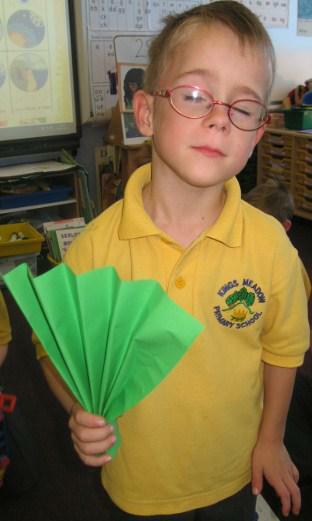 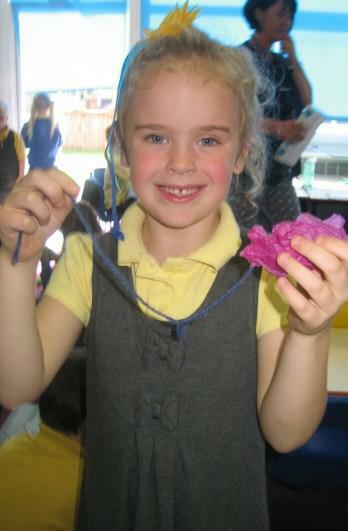 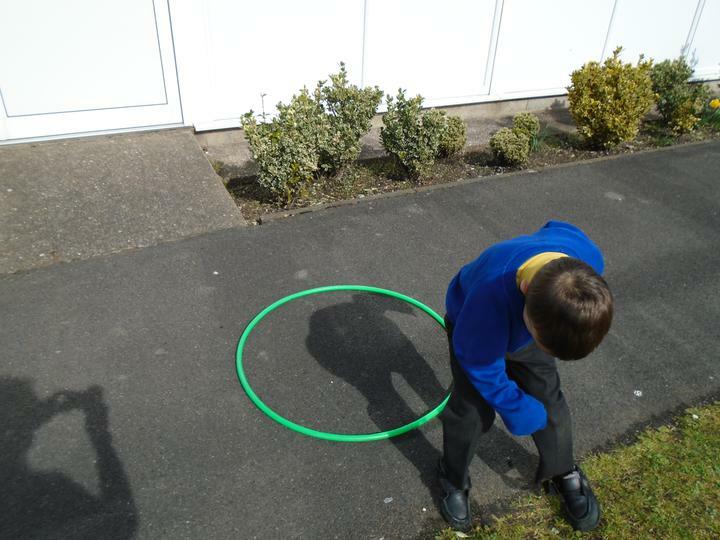 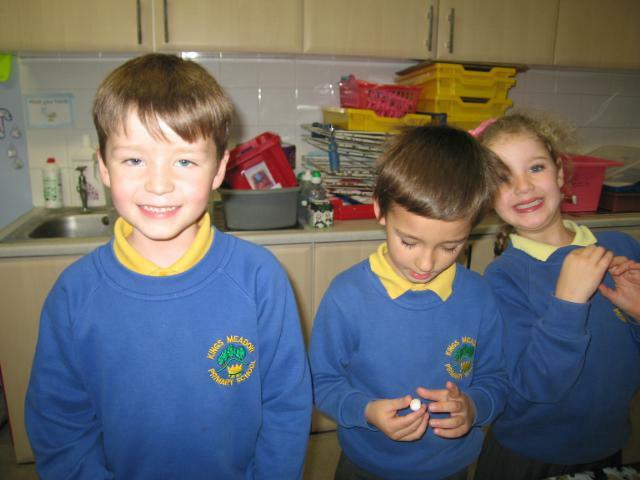 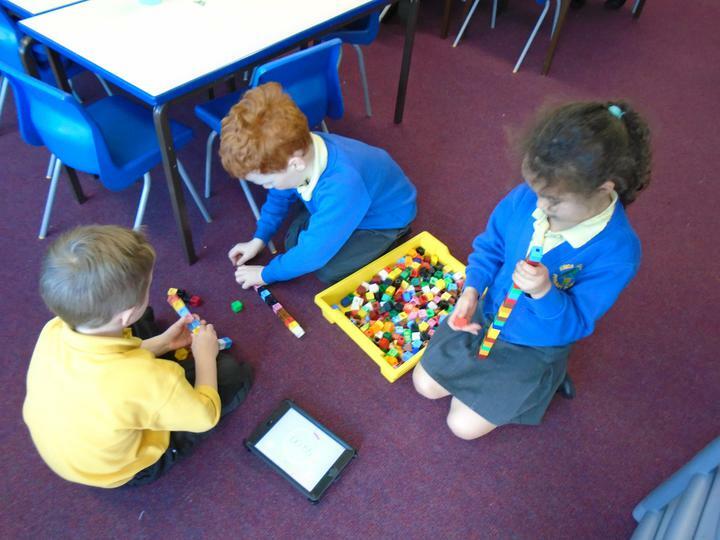 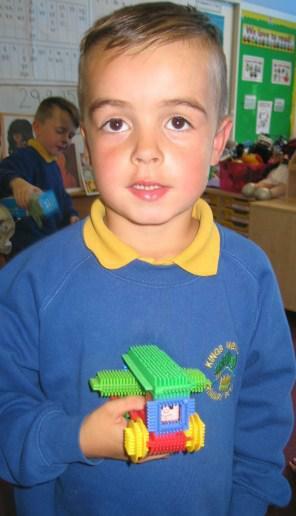 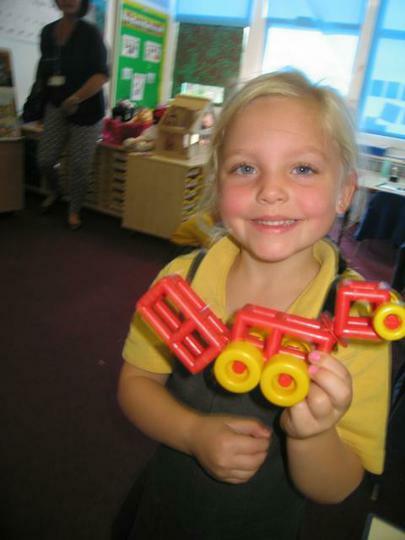 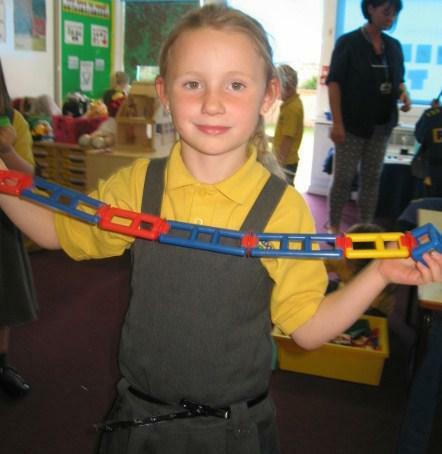 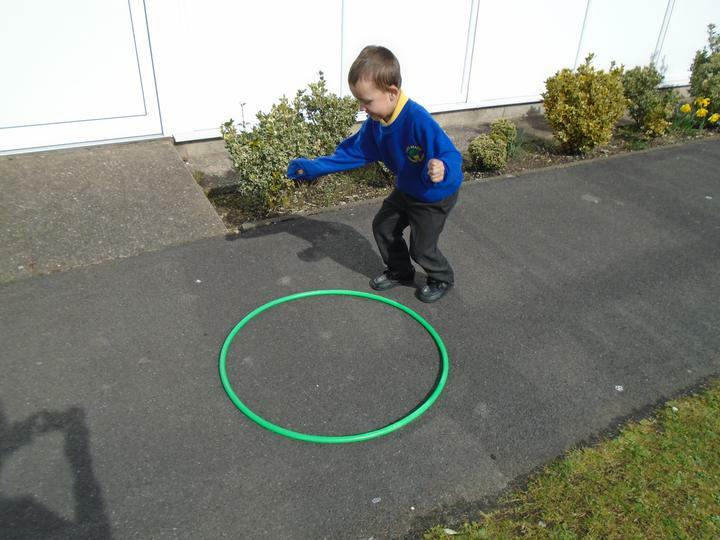 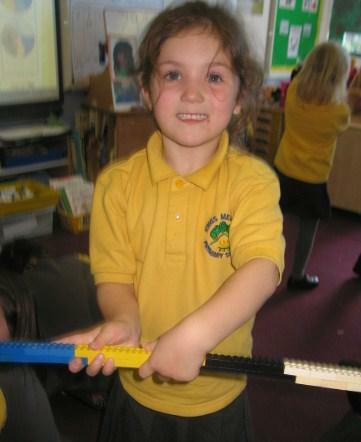 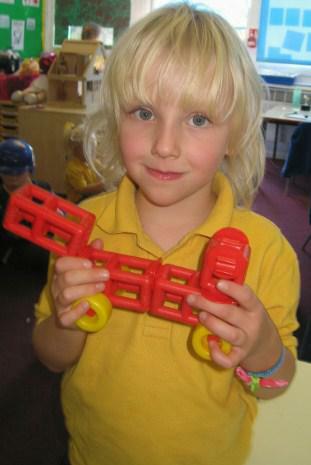 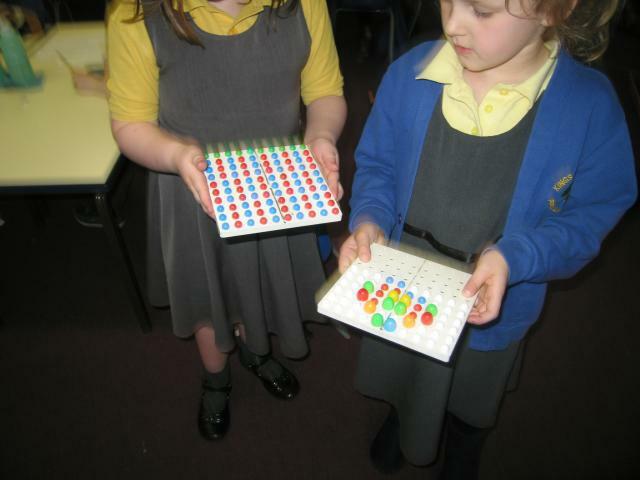 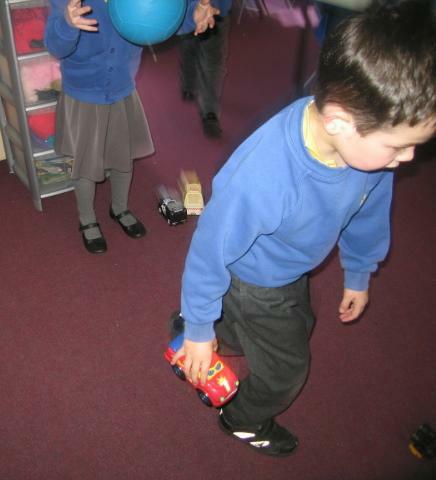 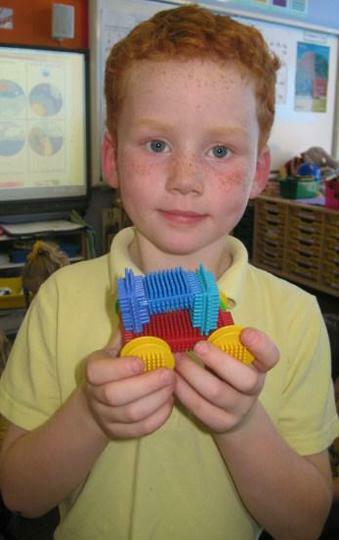 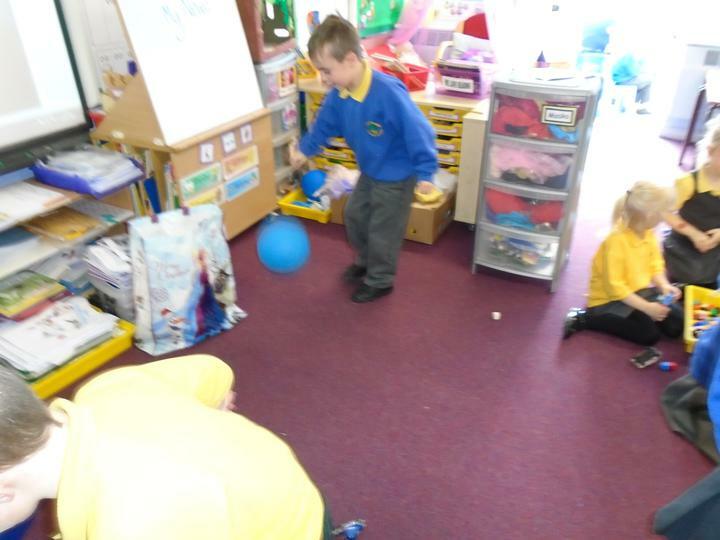 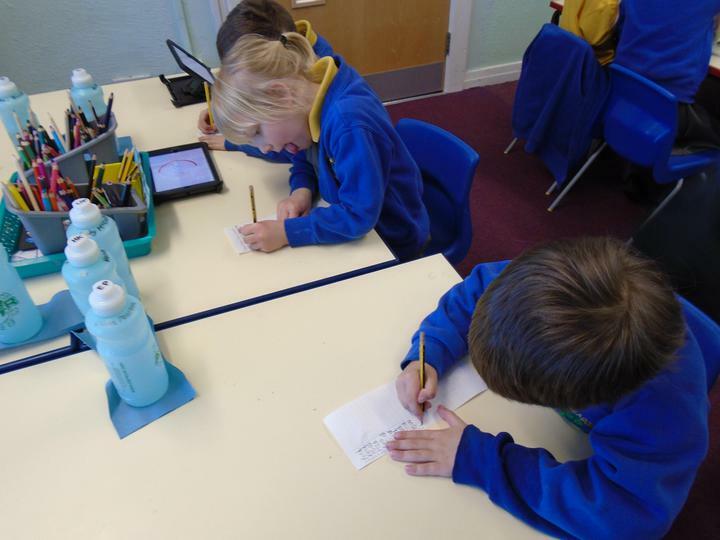 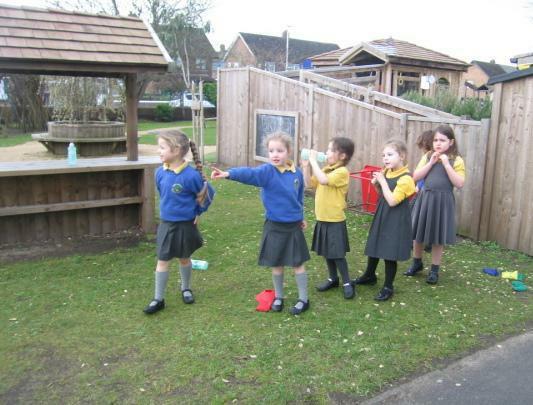 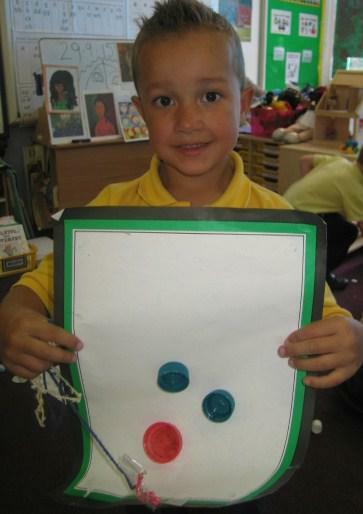 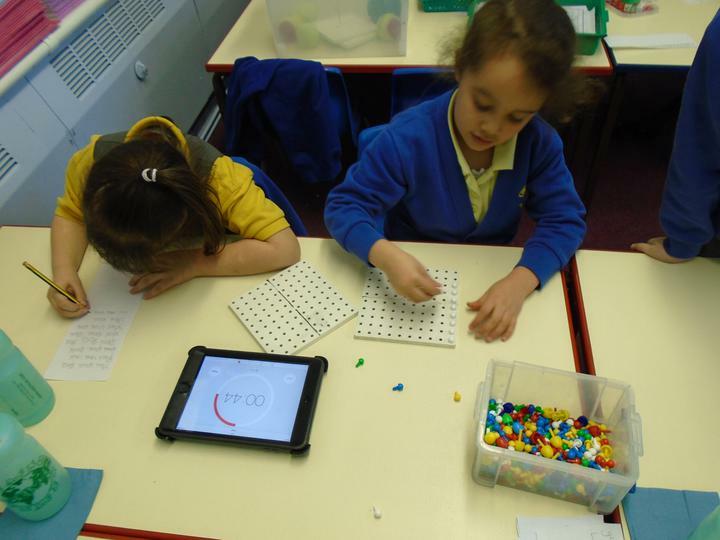 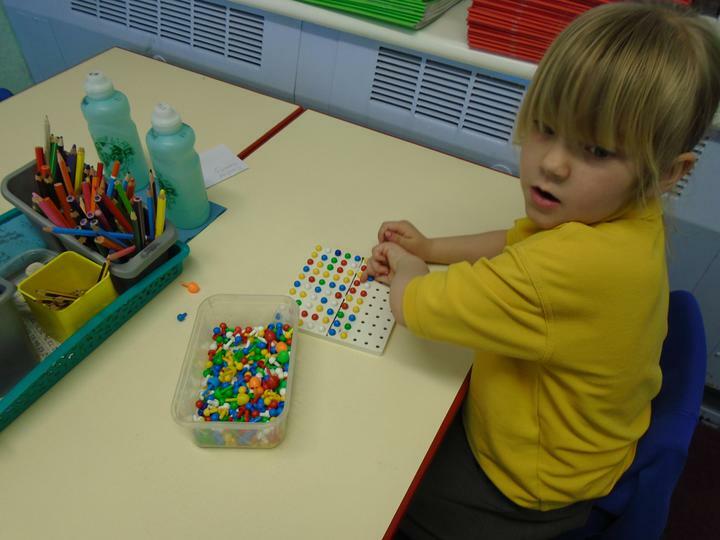 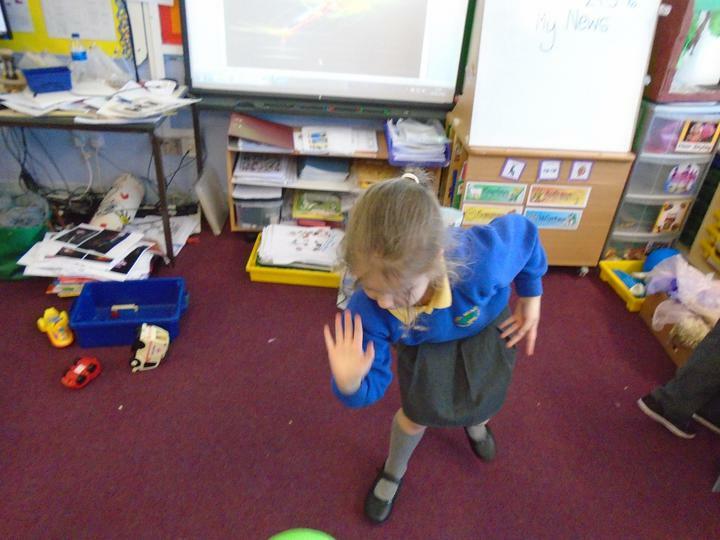 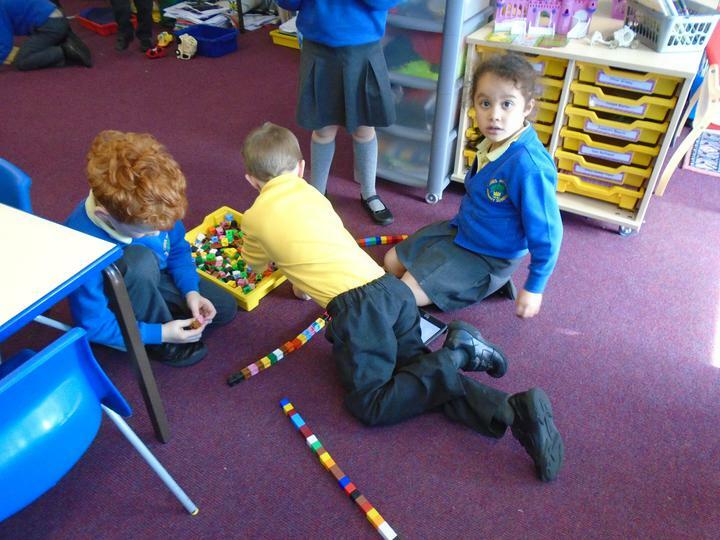 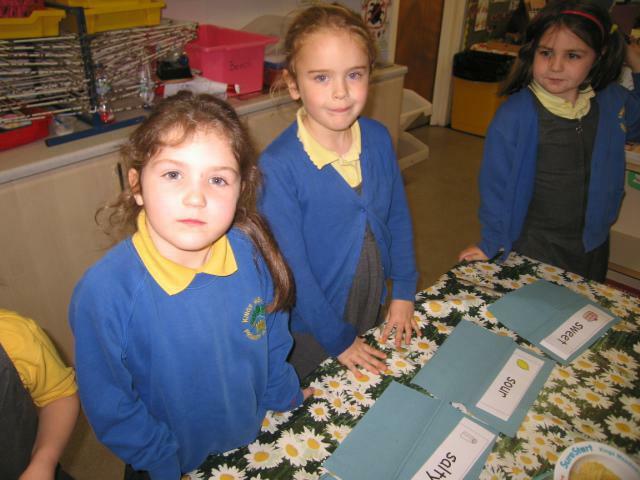 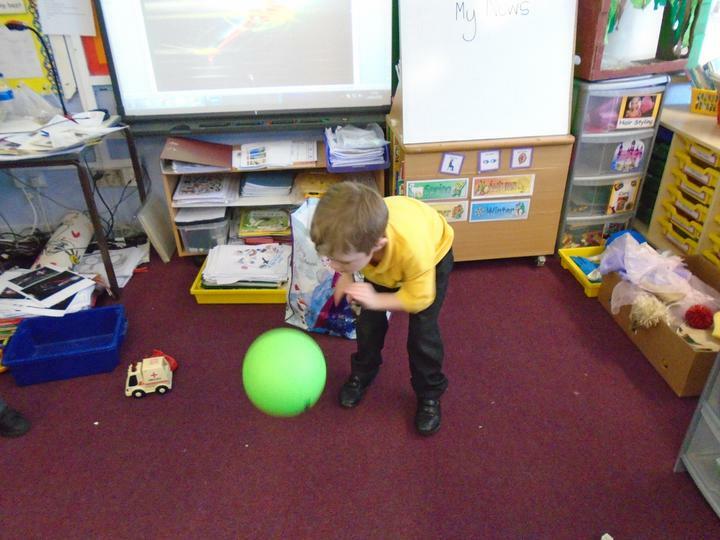 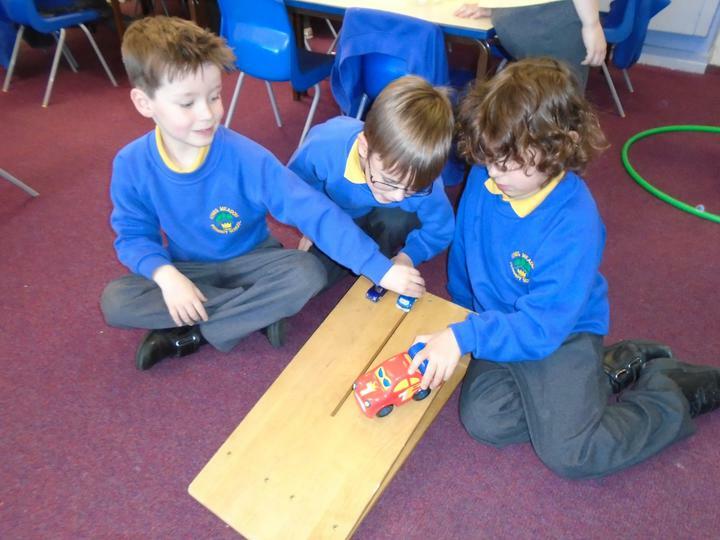 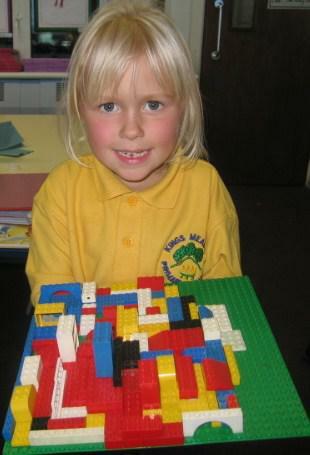 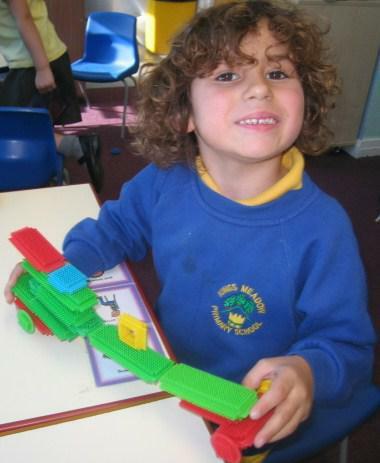 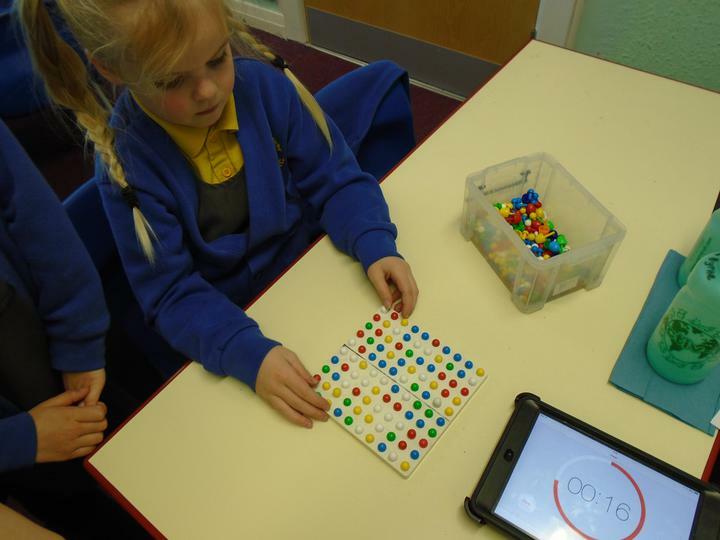 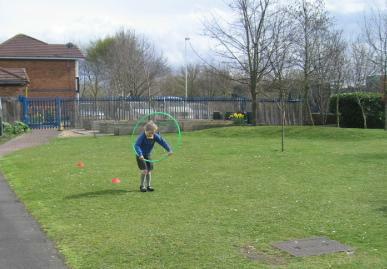 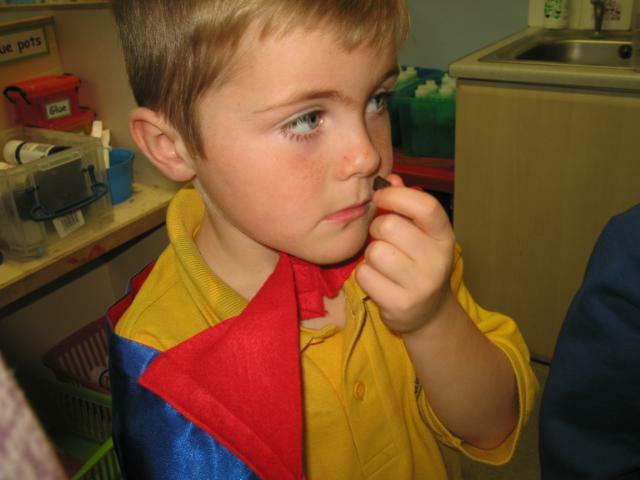 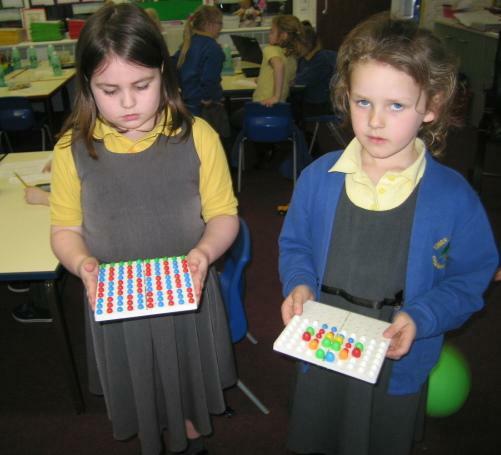 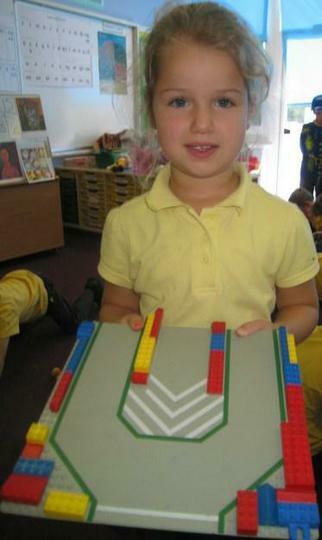 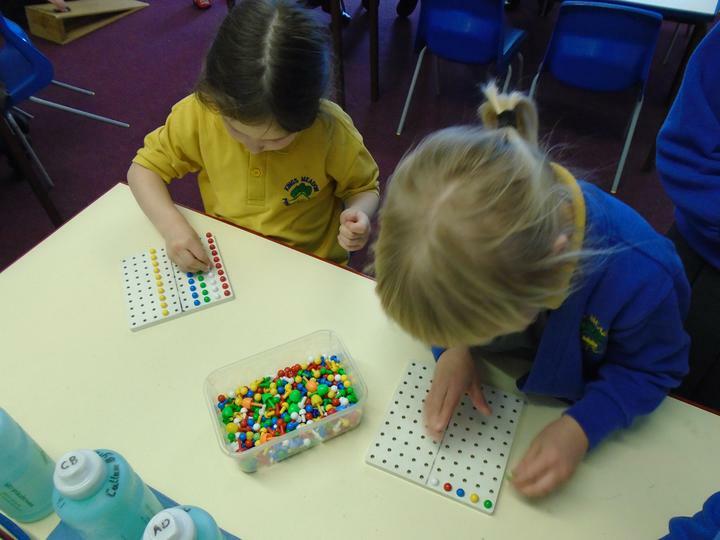 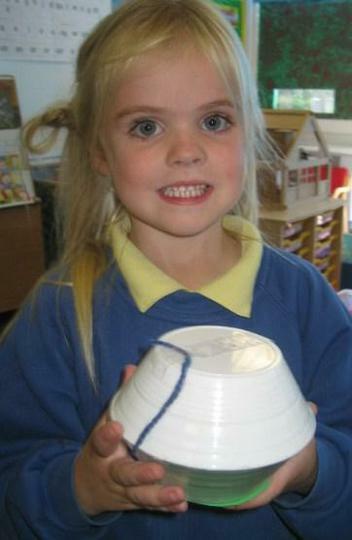 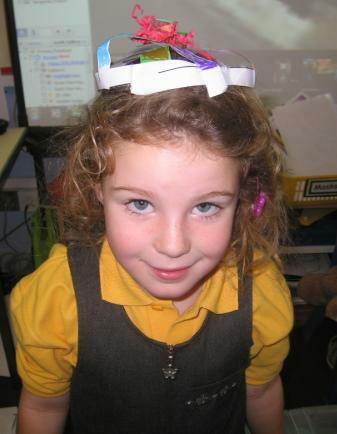 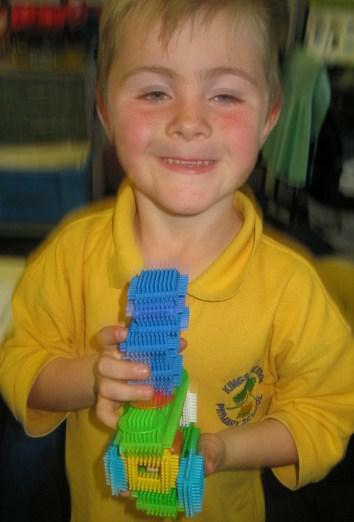 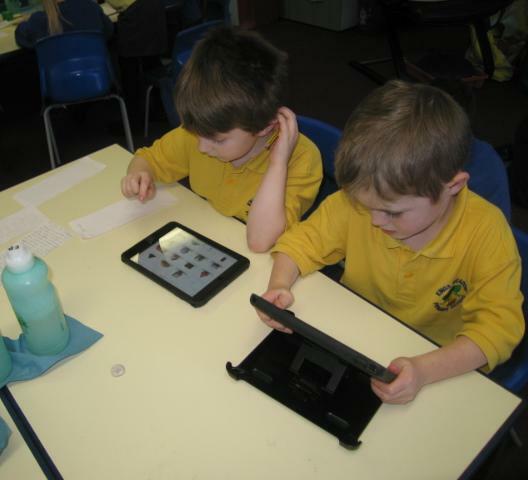 Year 1 have been learning about the properties of 2D and 3D shapes. 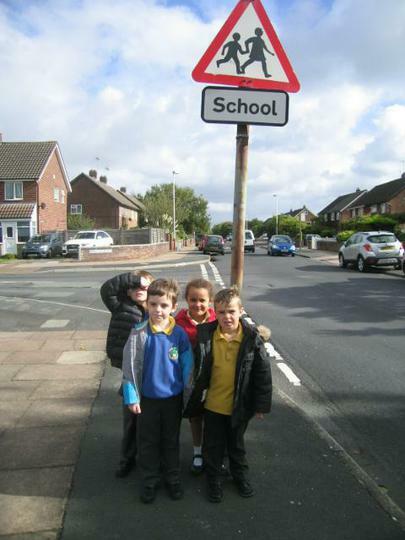 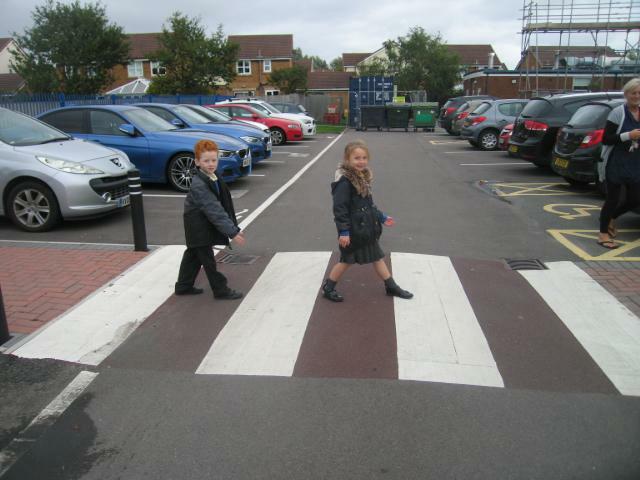 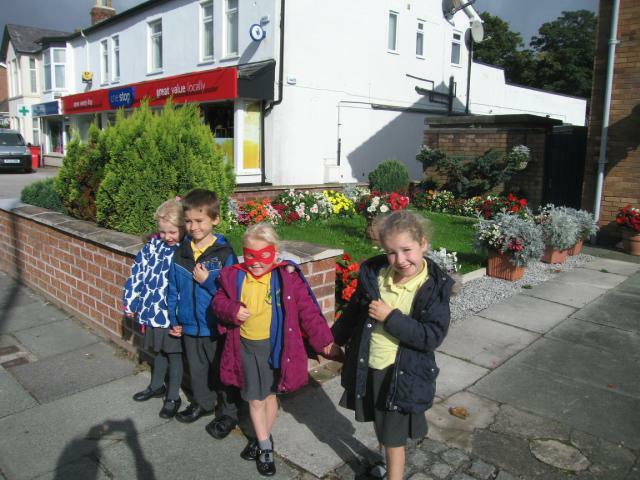 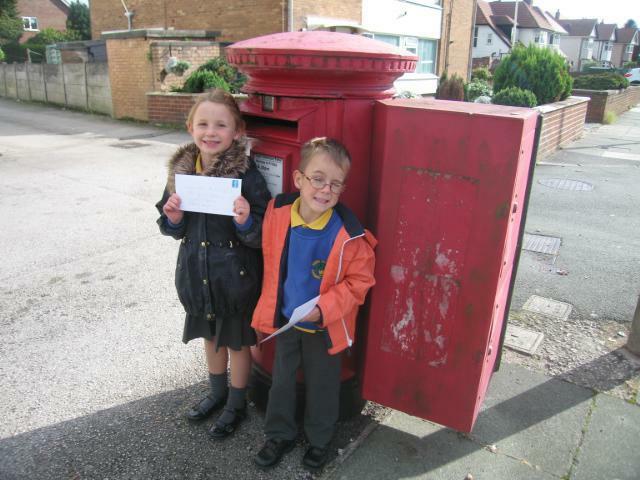 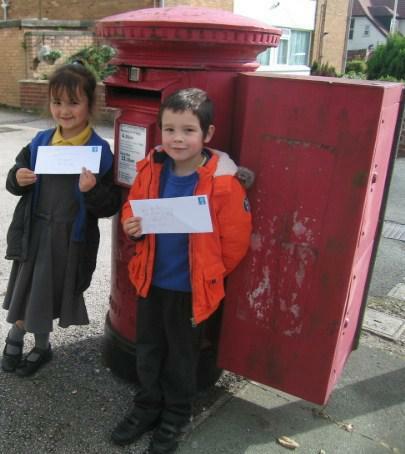 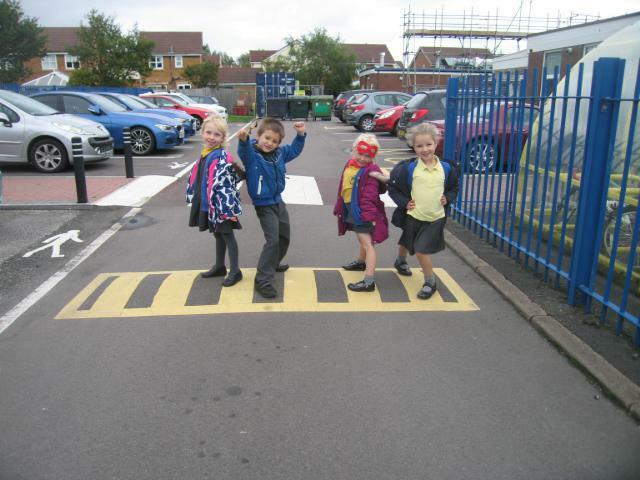 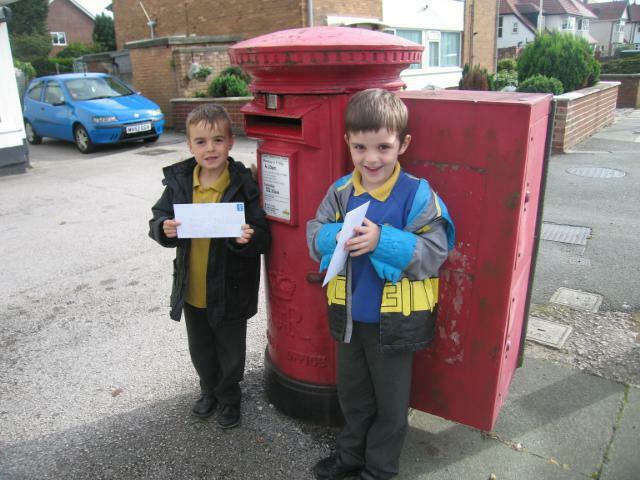 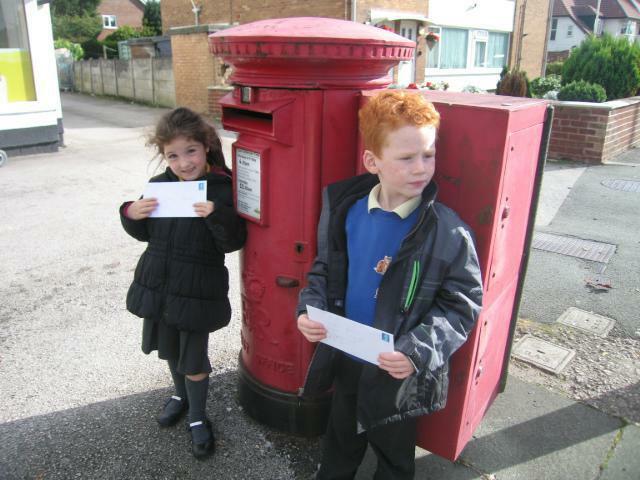 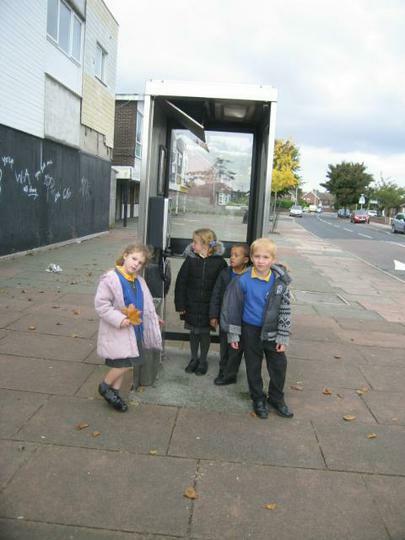 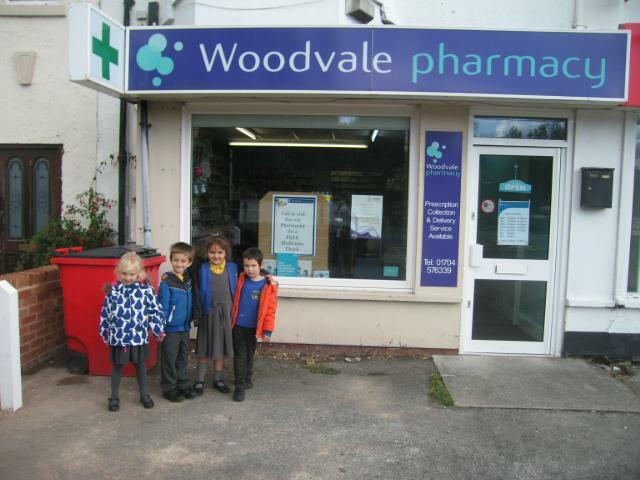 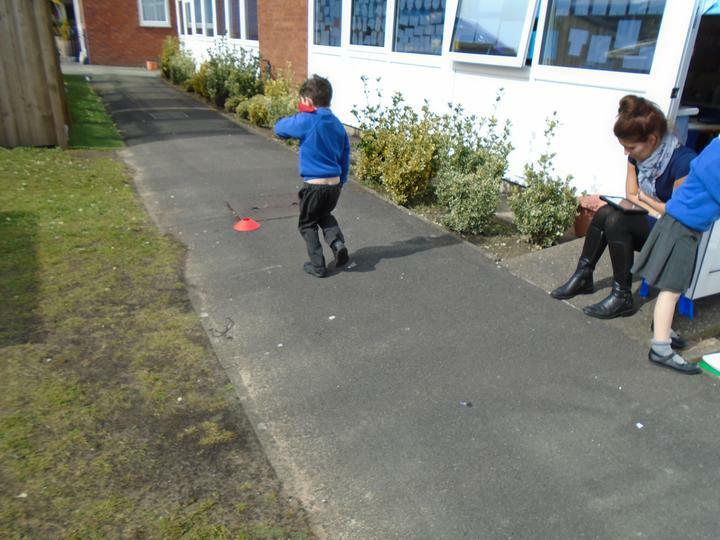 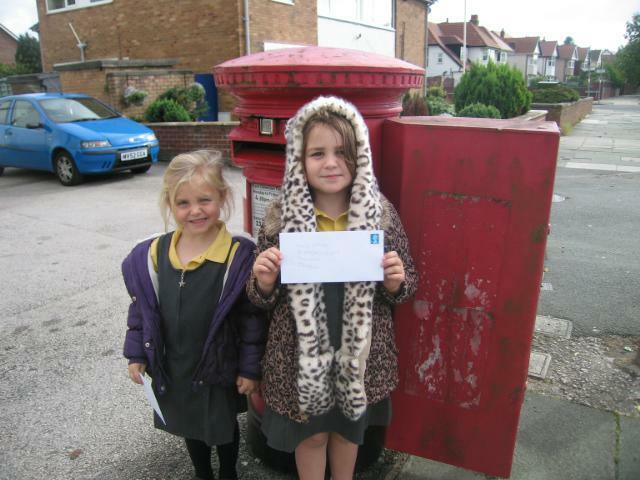 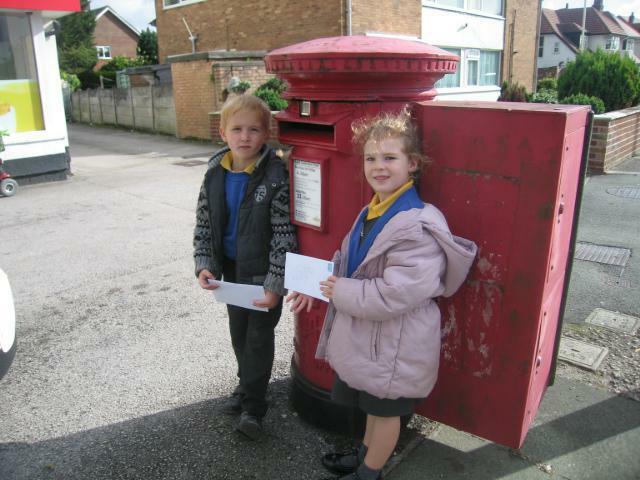 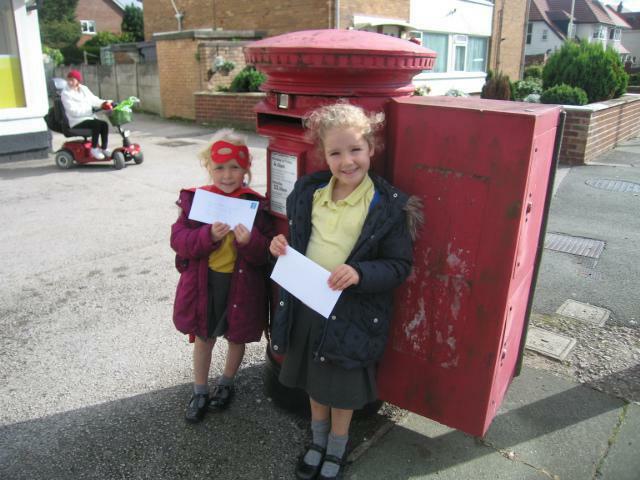 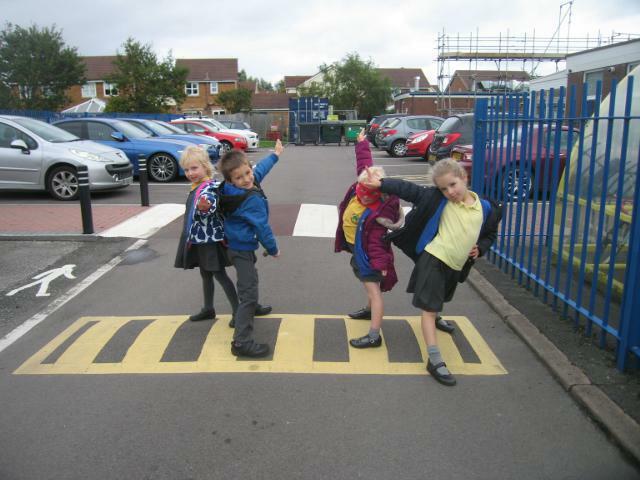 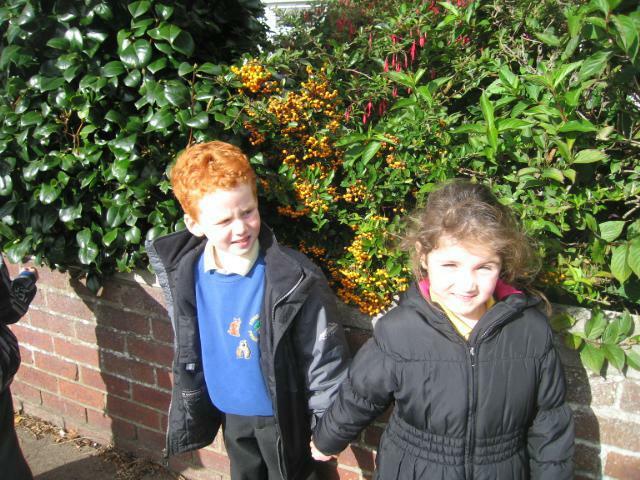 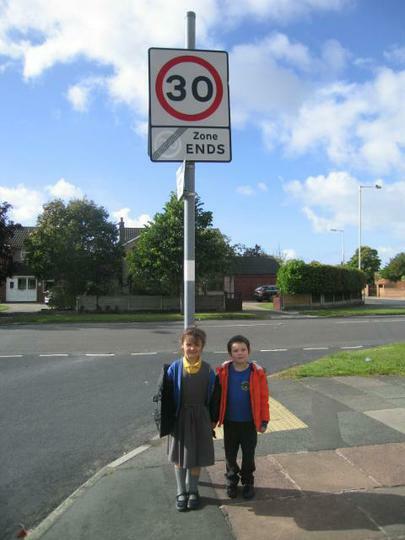 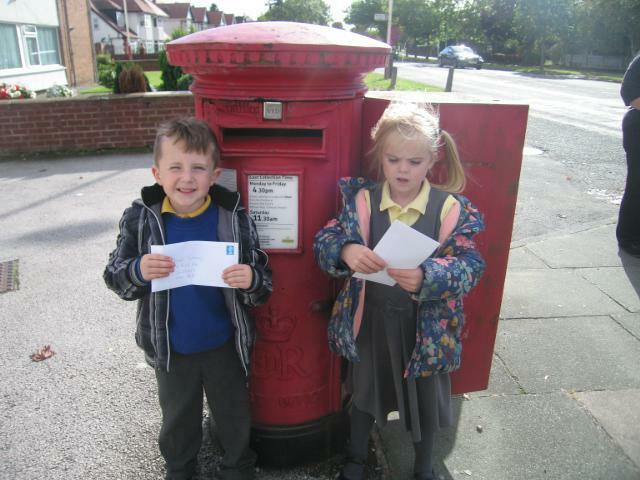 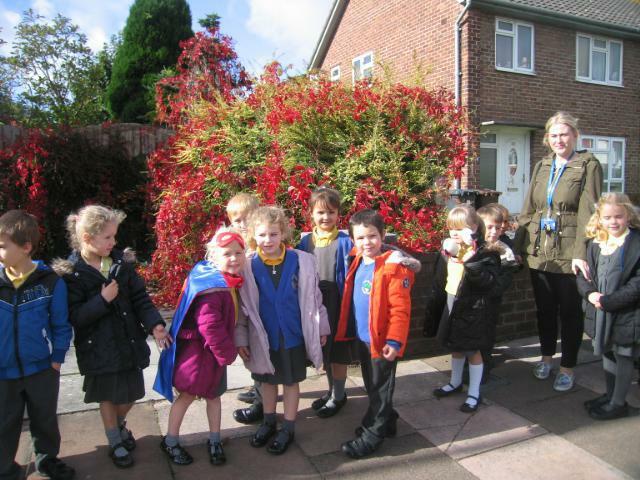 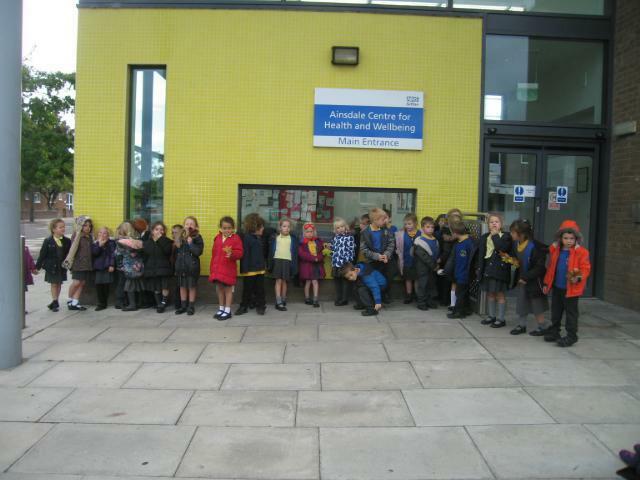 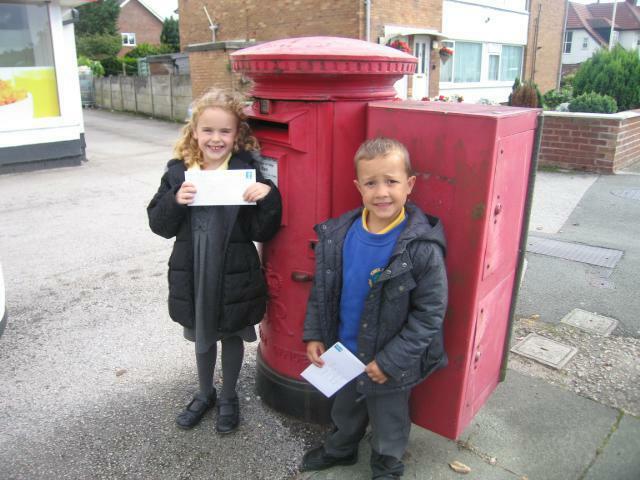 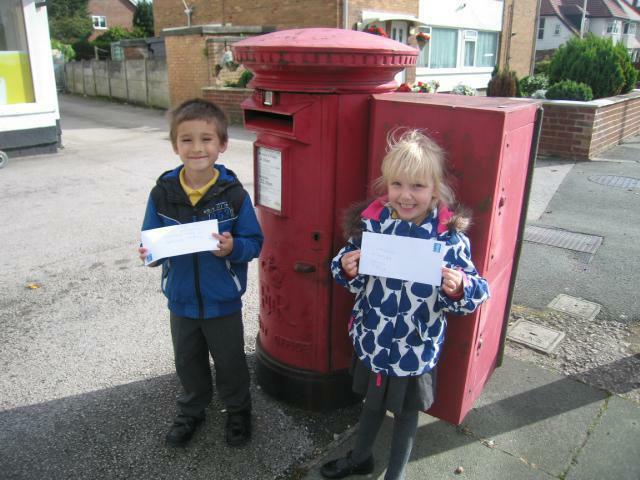 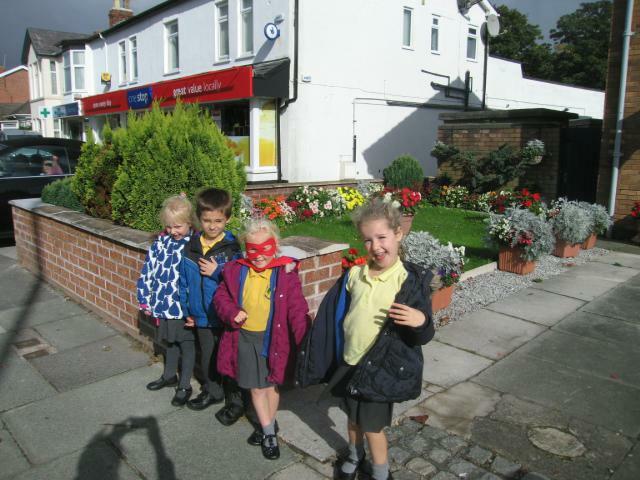 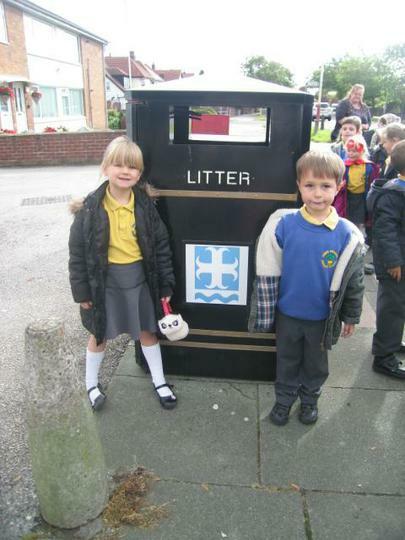 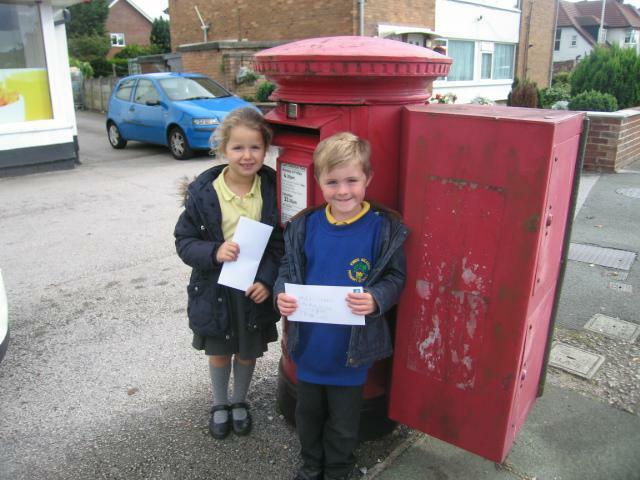 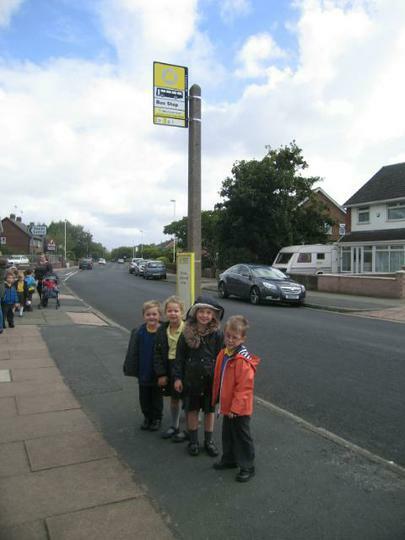 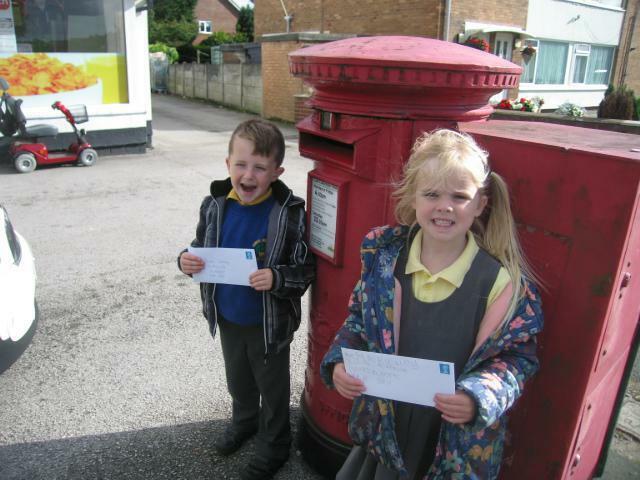 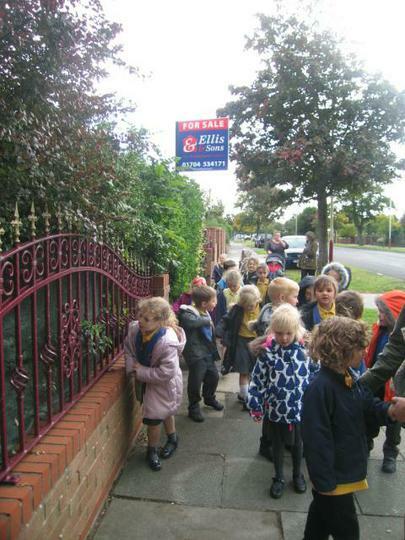 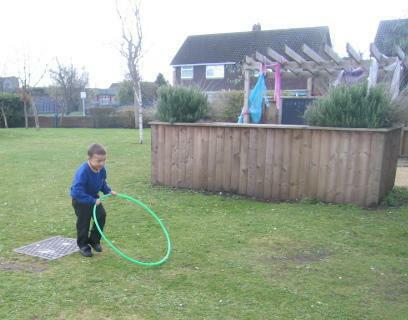 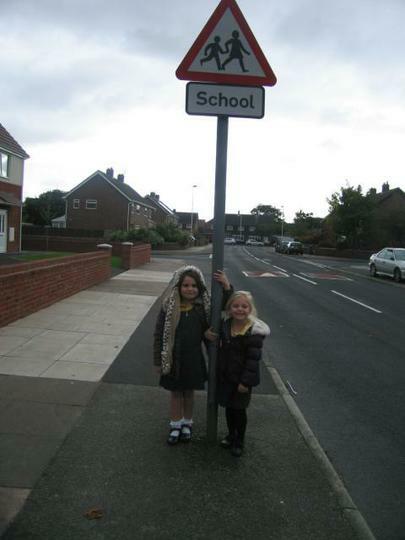 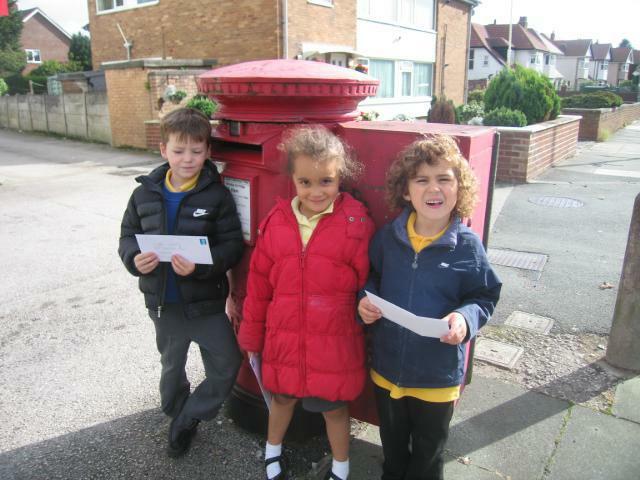 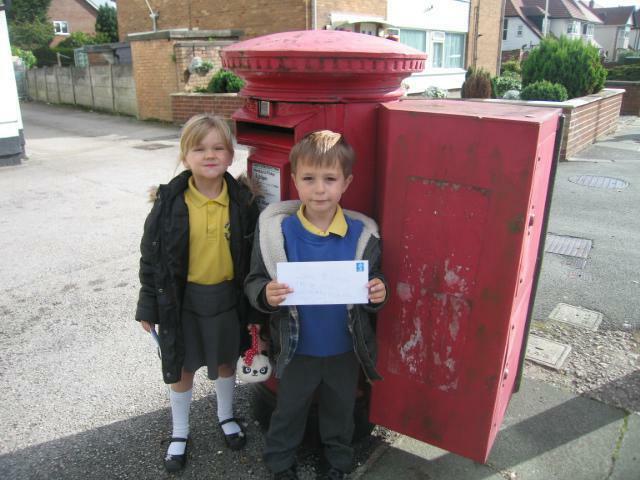 Year 1 explore the local community of Ainsdale and look at buildings and road features. 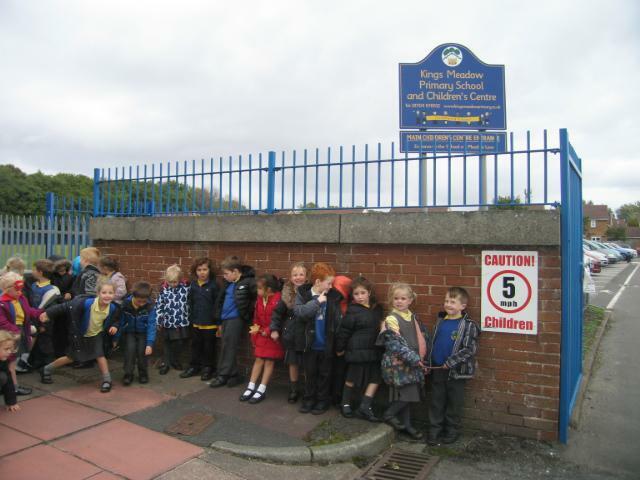 A walk around the local area. 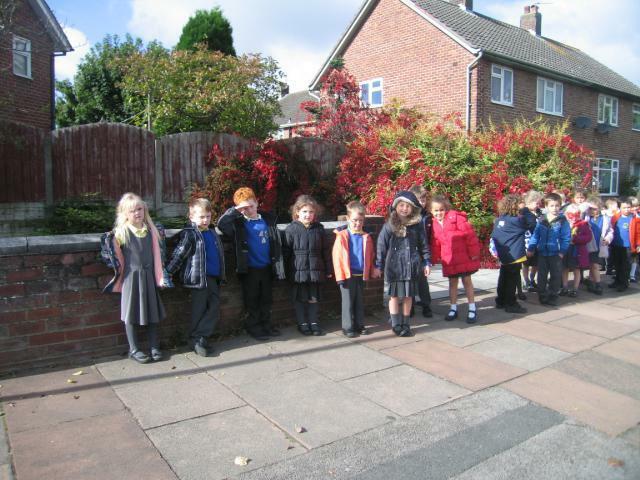 Year 1 enjoy a sunny September afternoon.